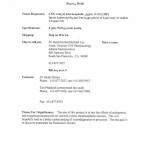 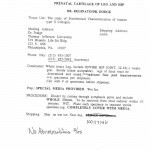 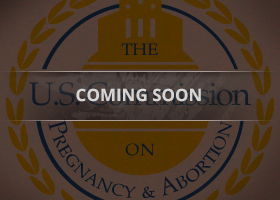 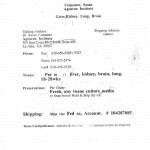 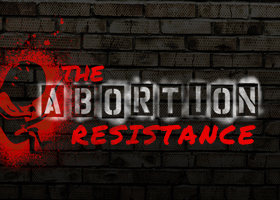 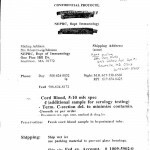 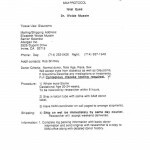 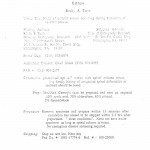 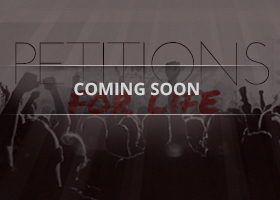 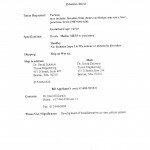 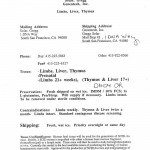 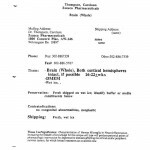 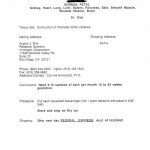 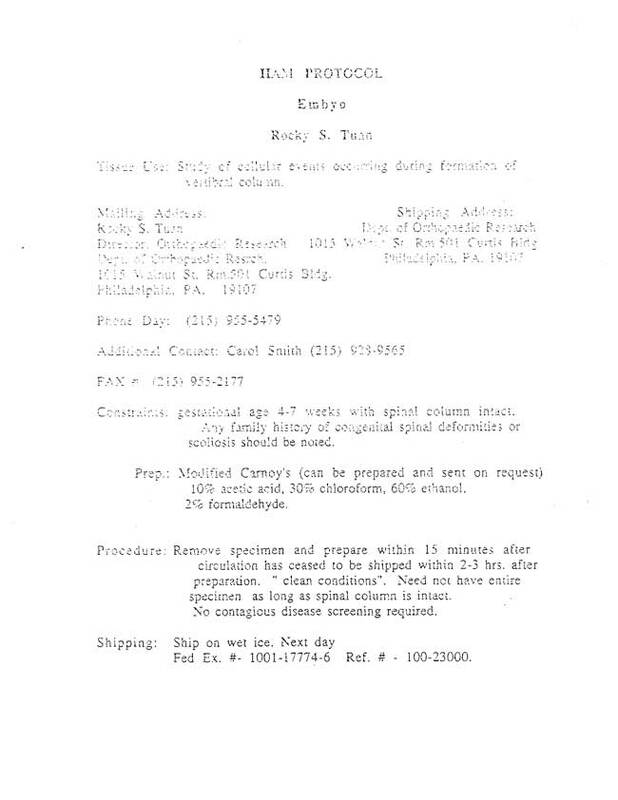 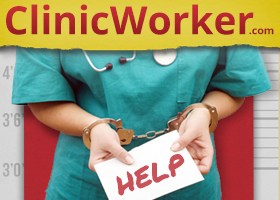 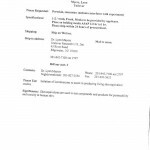 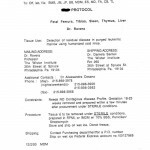 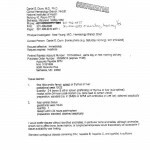 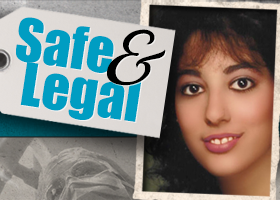 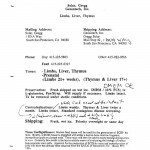 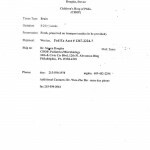 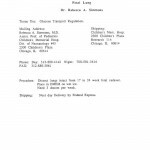 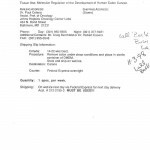 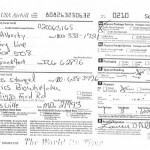 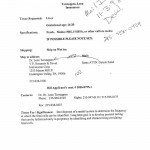 Included on this site are over 70 orders for baby parts that were received by Comp Health beginning in 1988 and lasting until 1998. 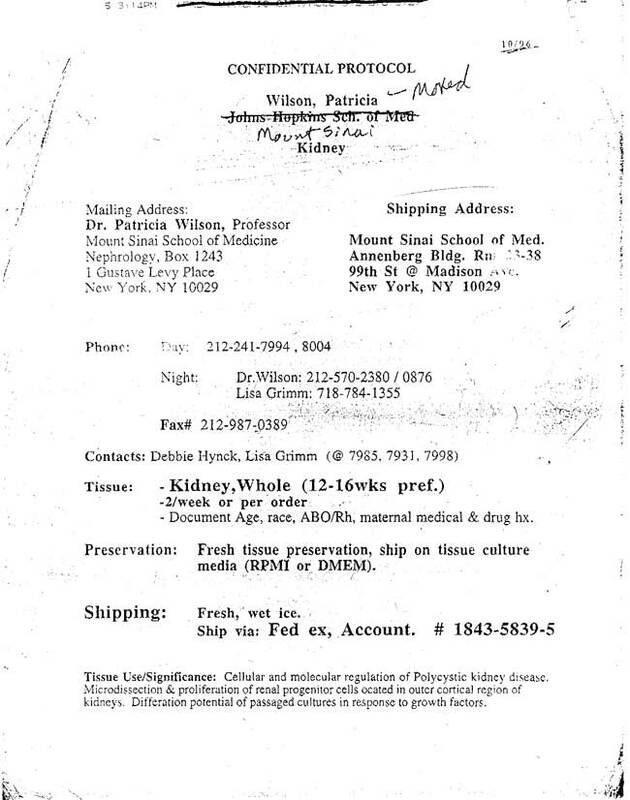 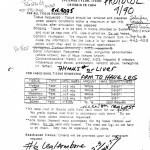 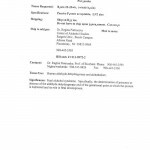 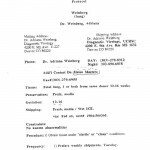 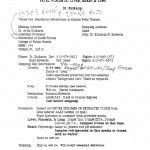 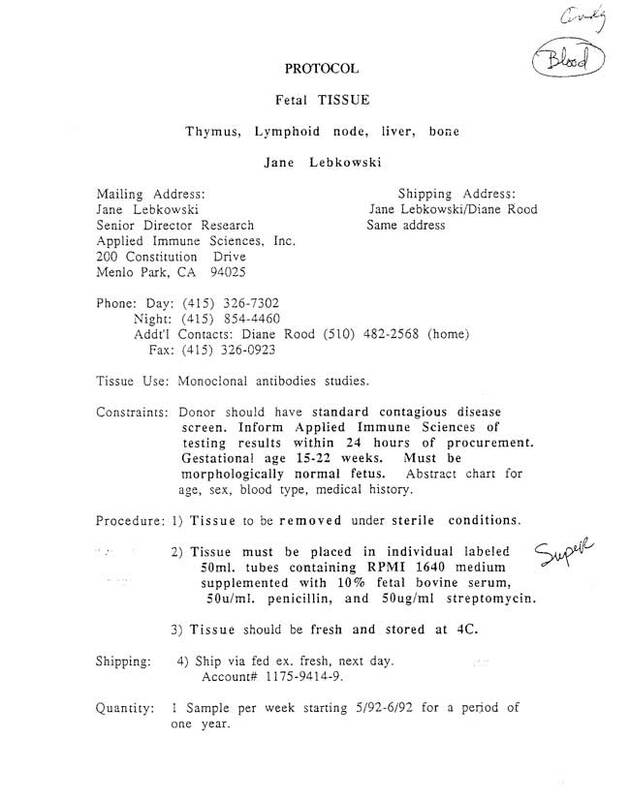 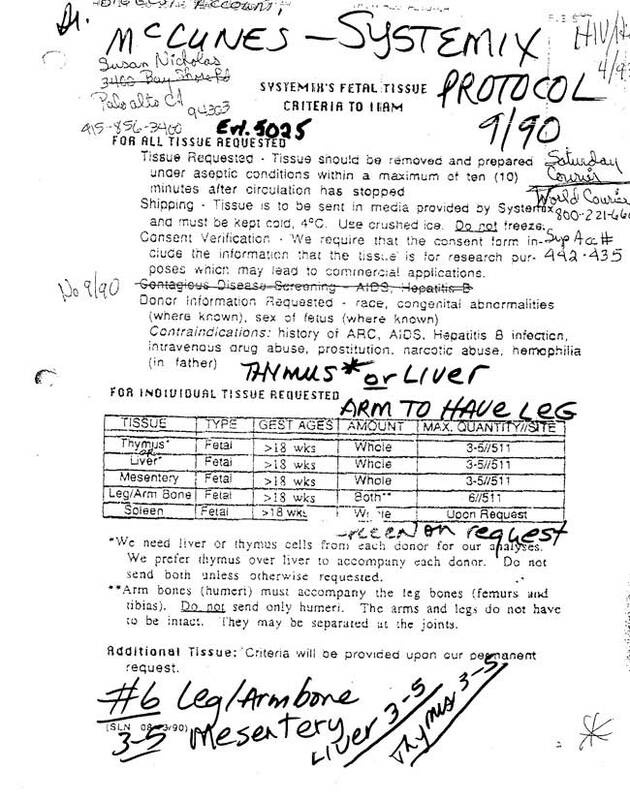 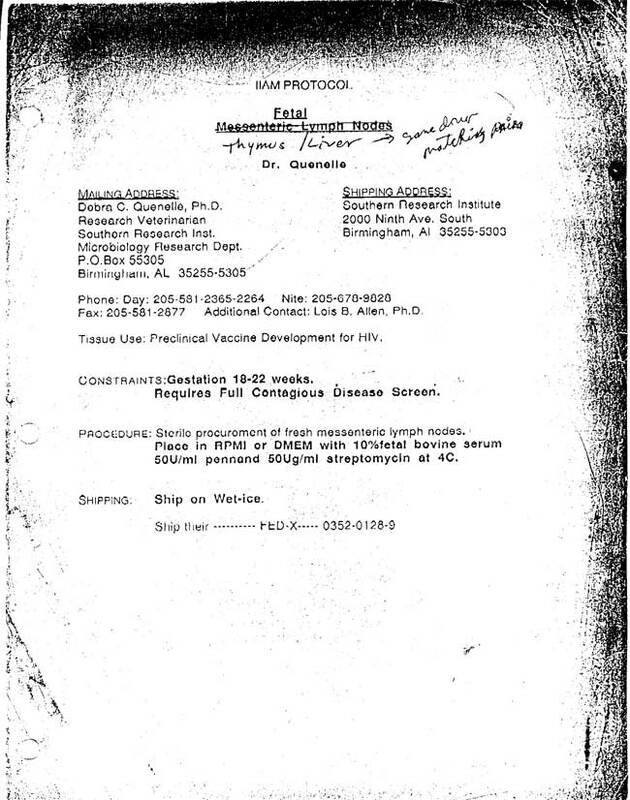 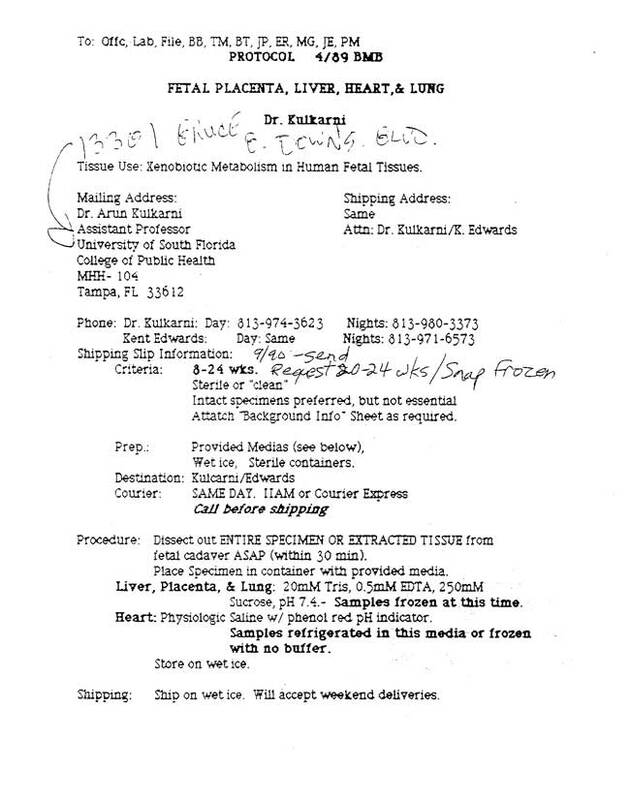 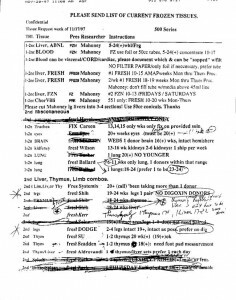 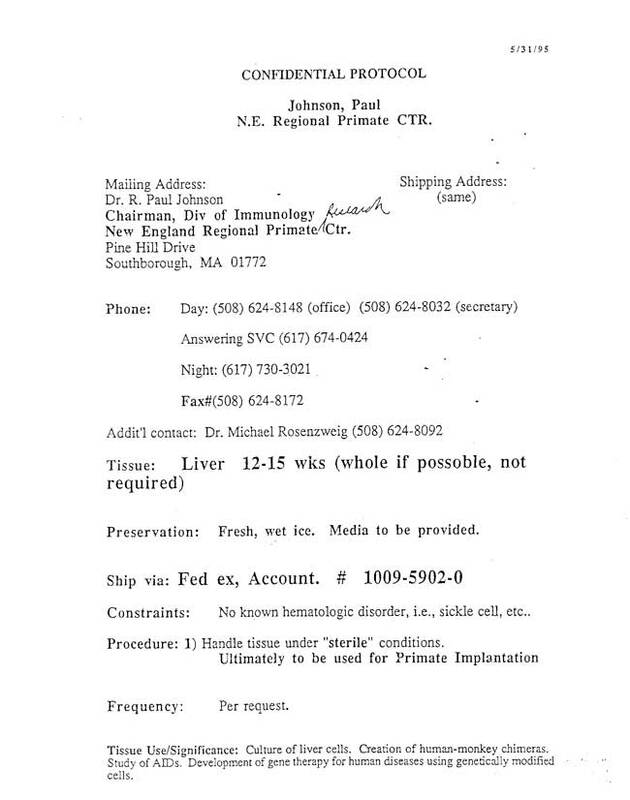 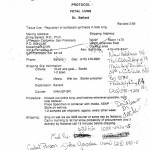 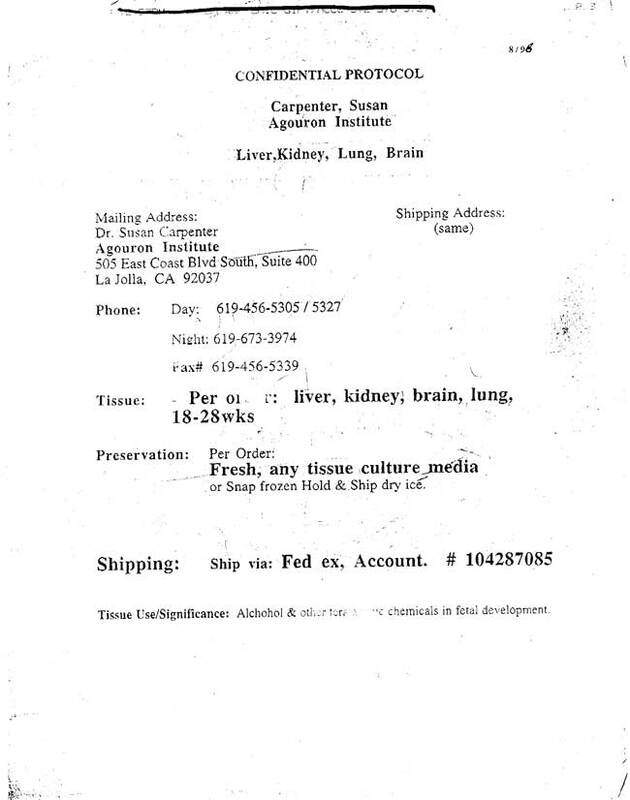 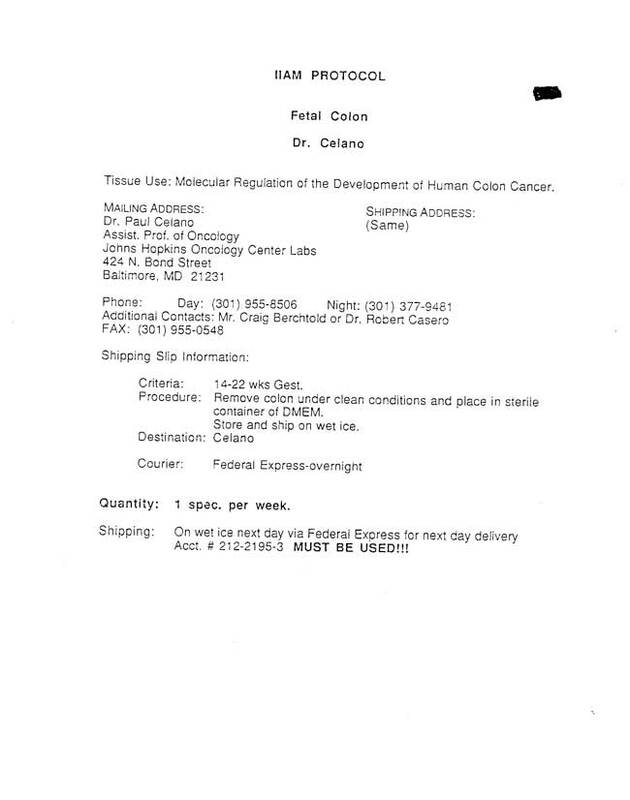 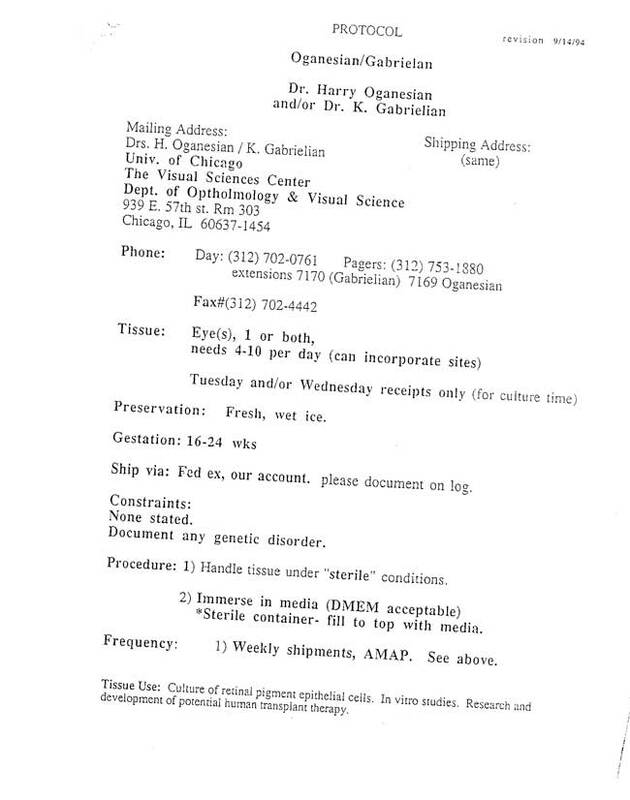 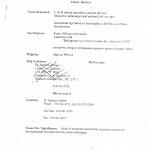 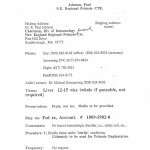 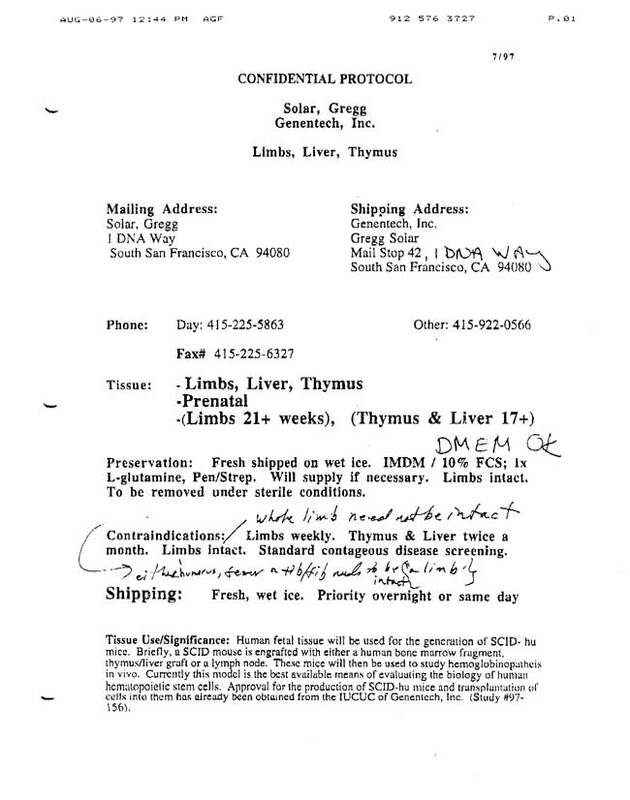 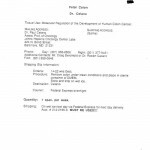 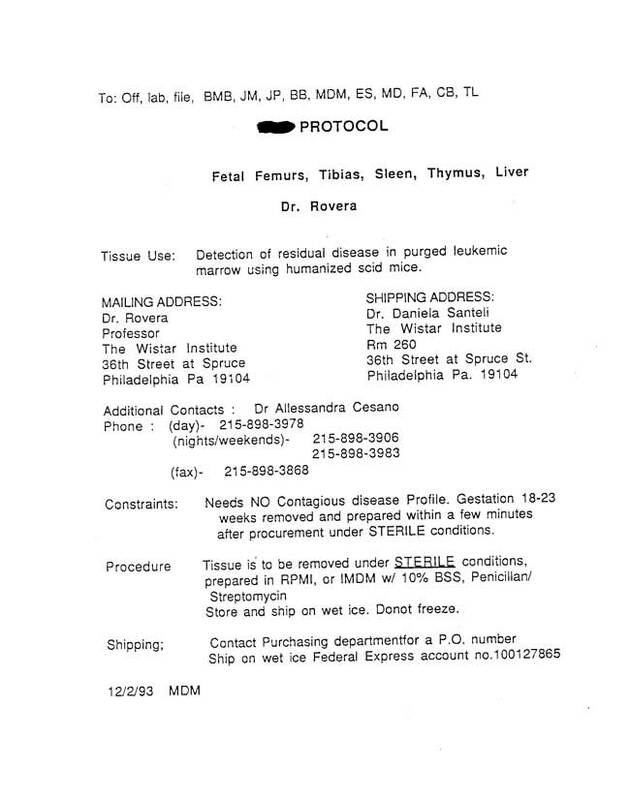 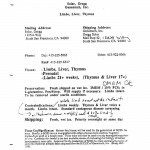 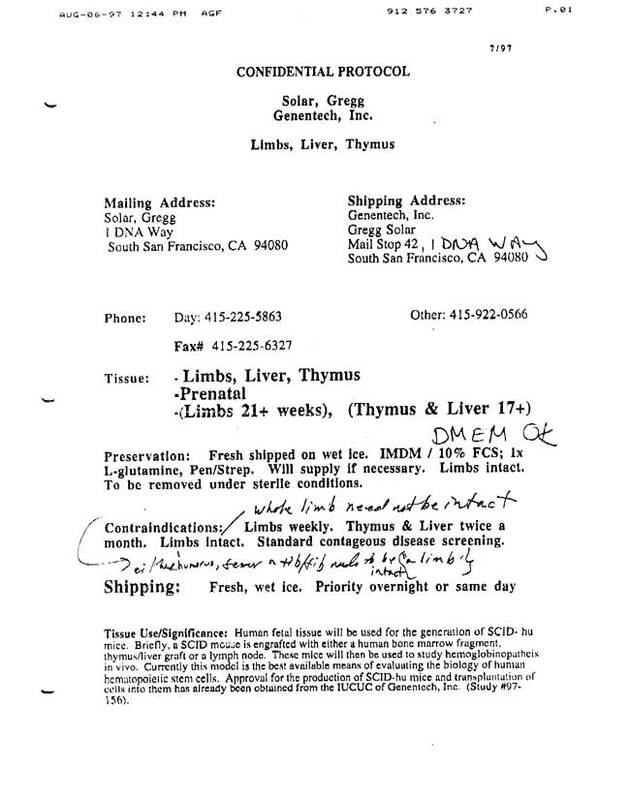 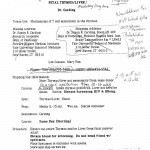 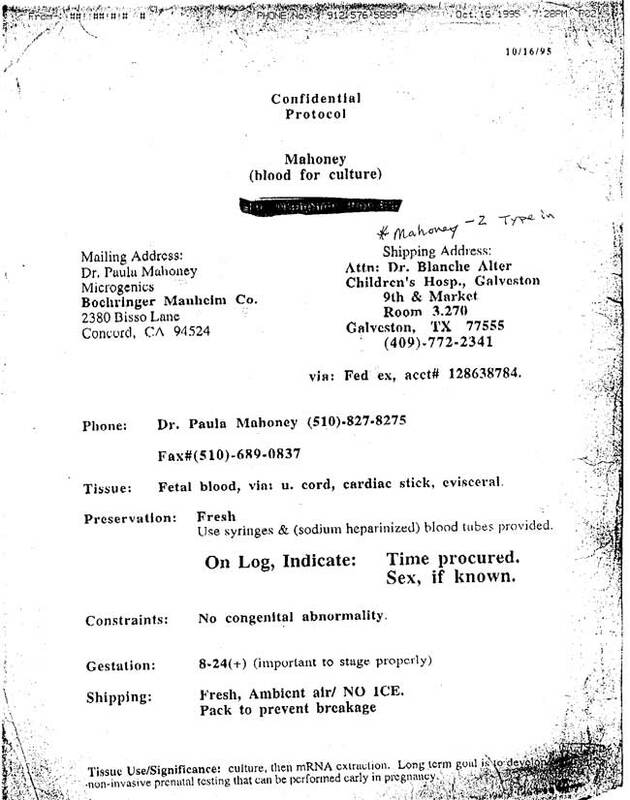 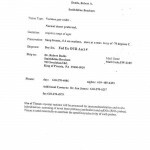 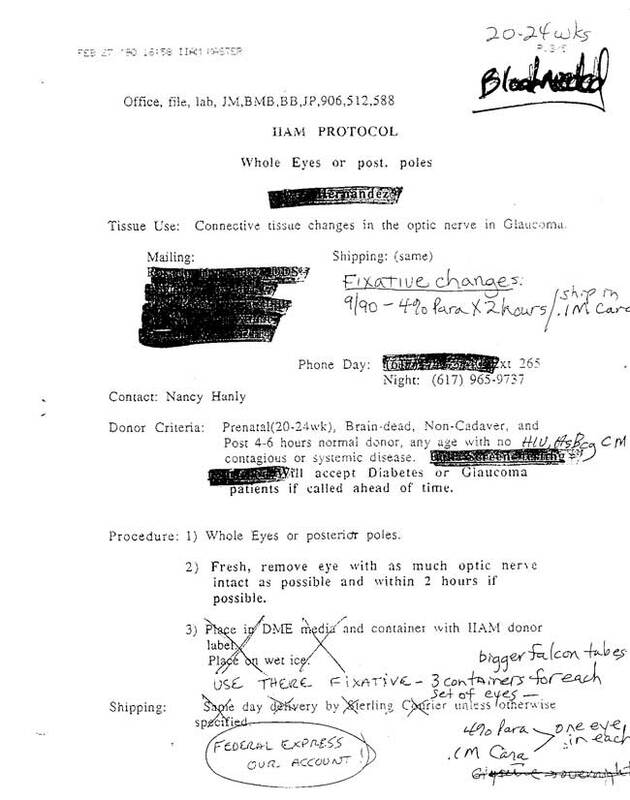 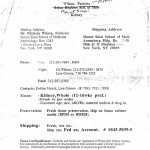 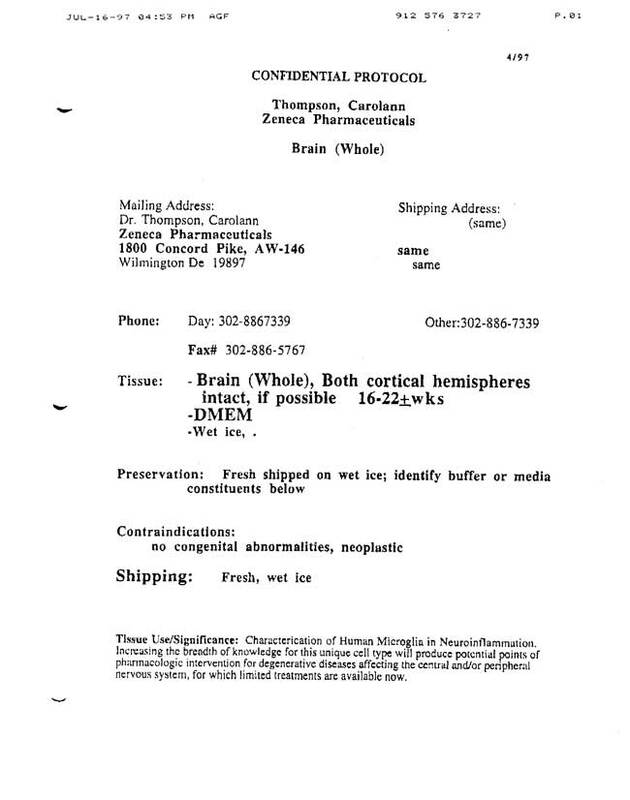 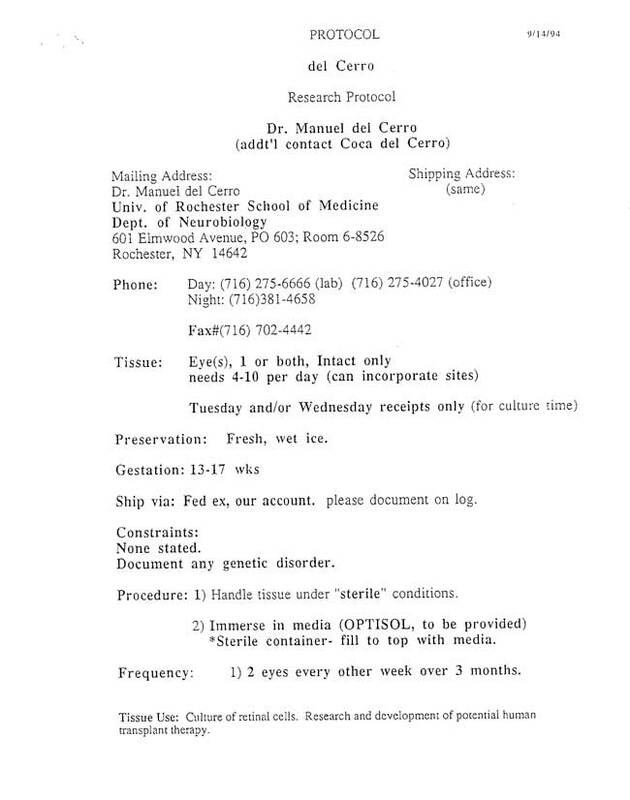 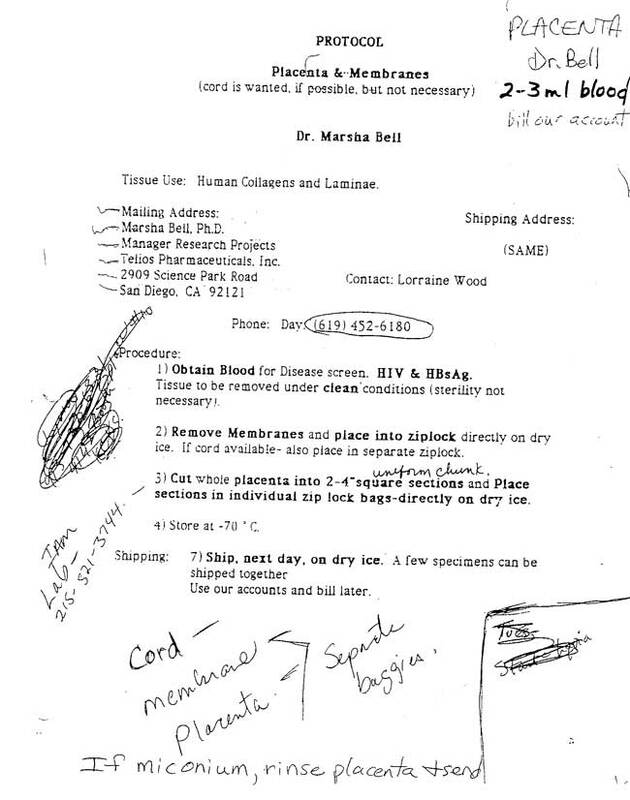 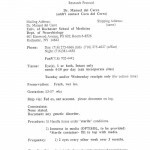 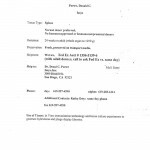 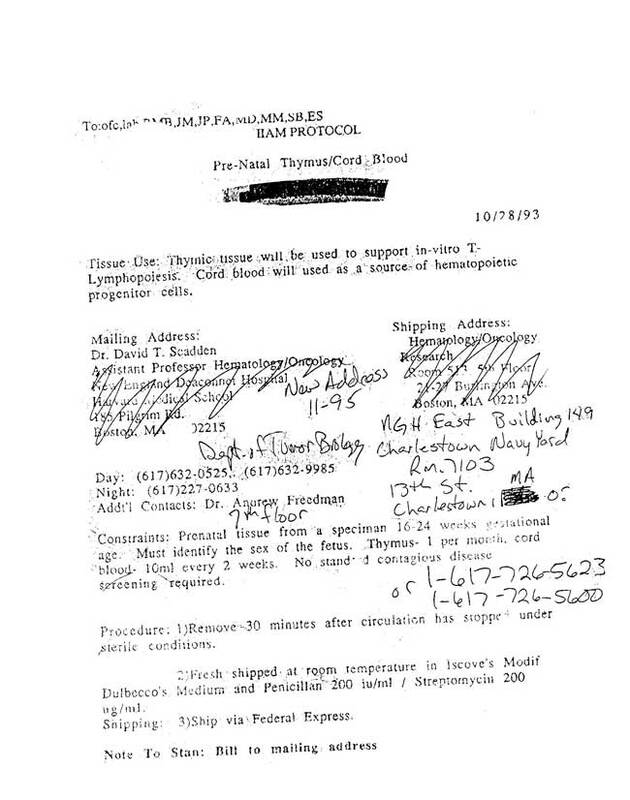 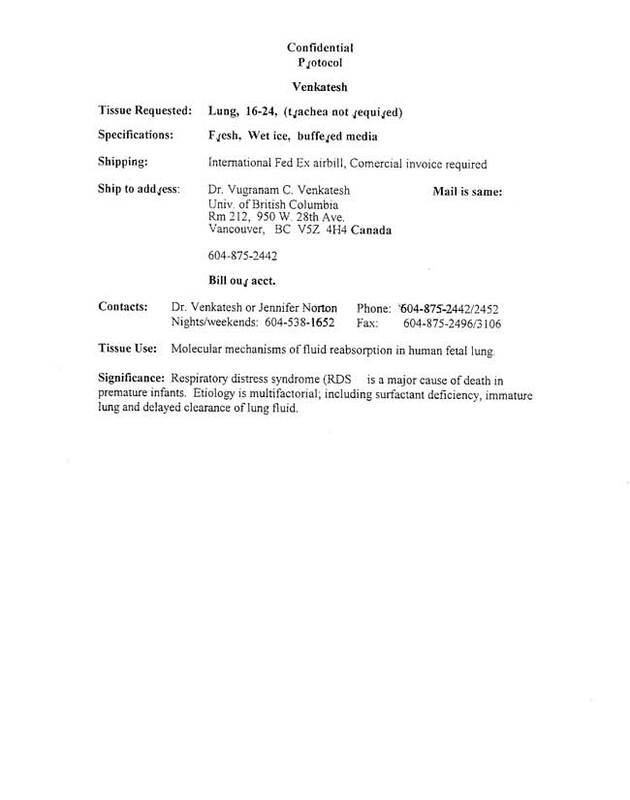 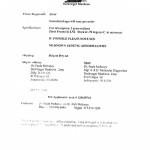 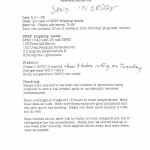 Also included is a partial listing of frozen parts being stored at this abortion clinic during the week of November 17, 1997. 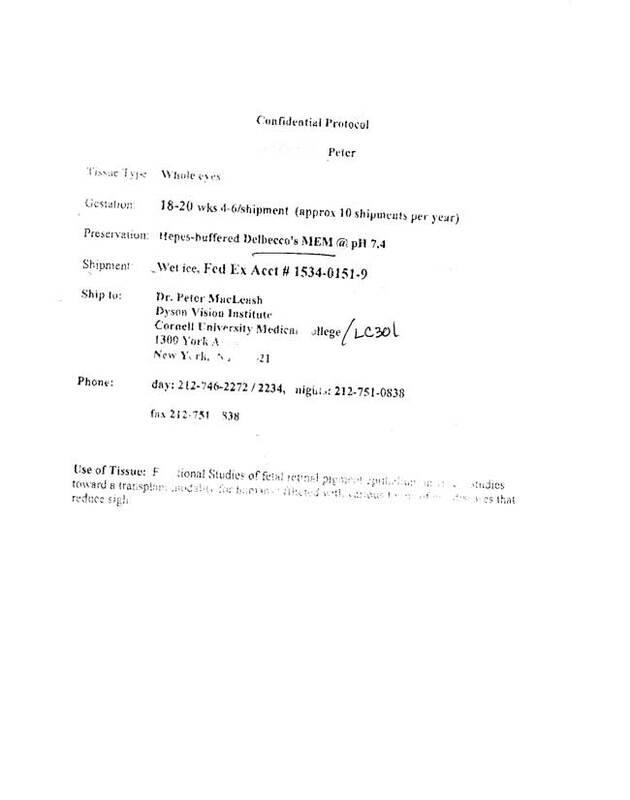 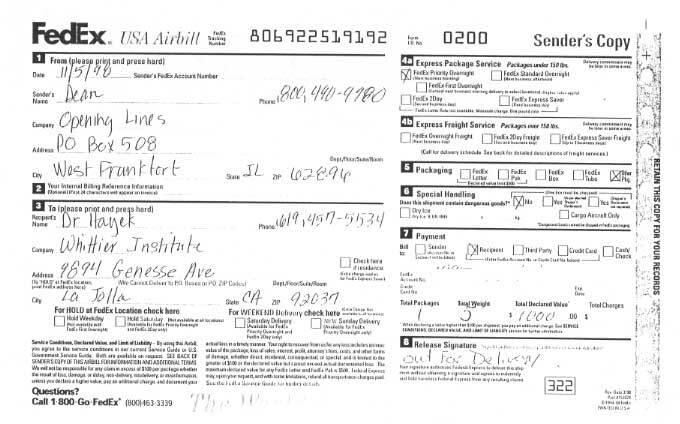 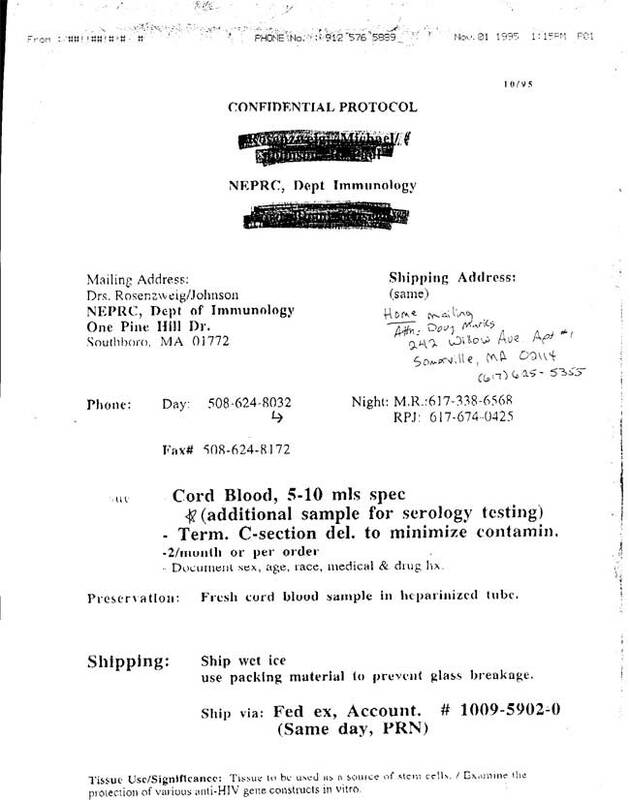 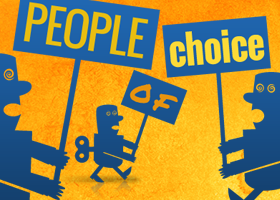 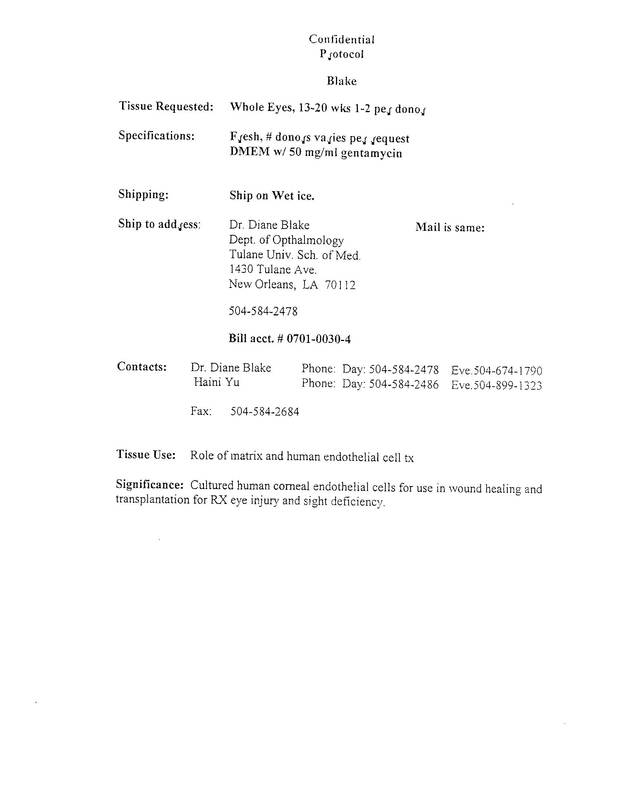 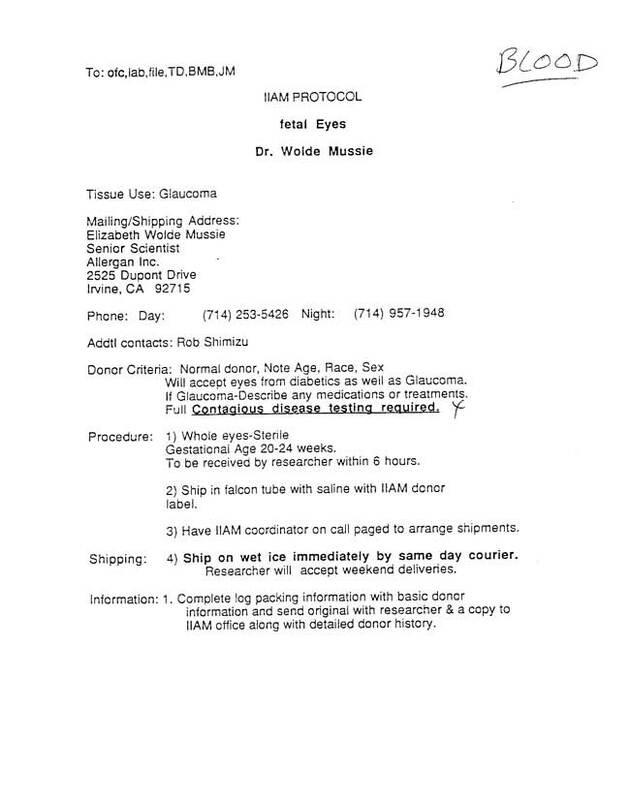 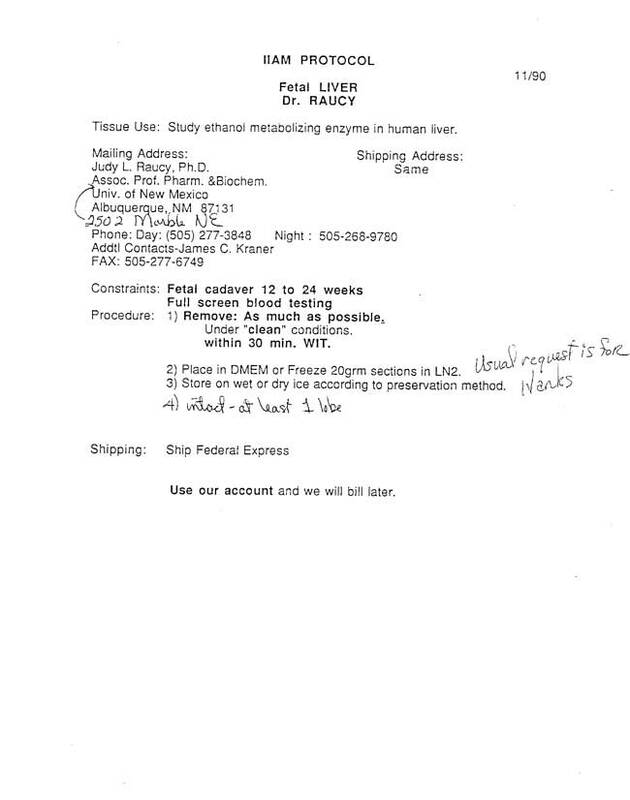 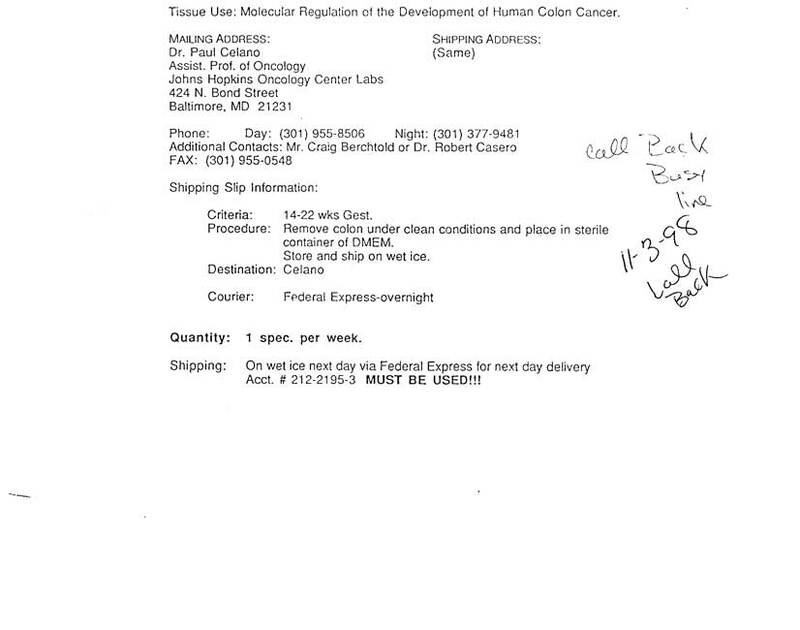 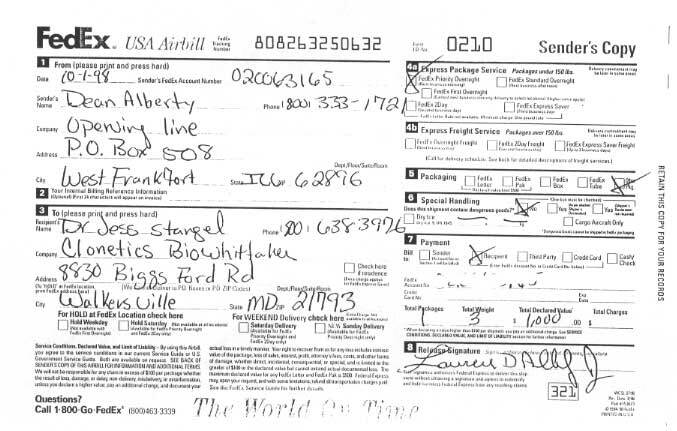 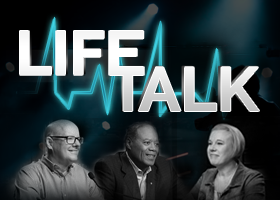 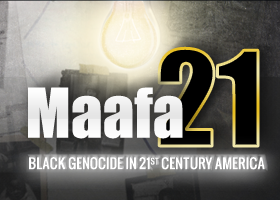 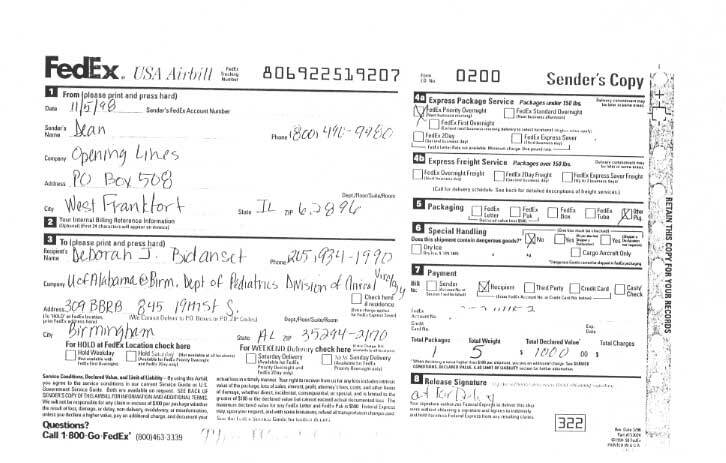 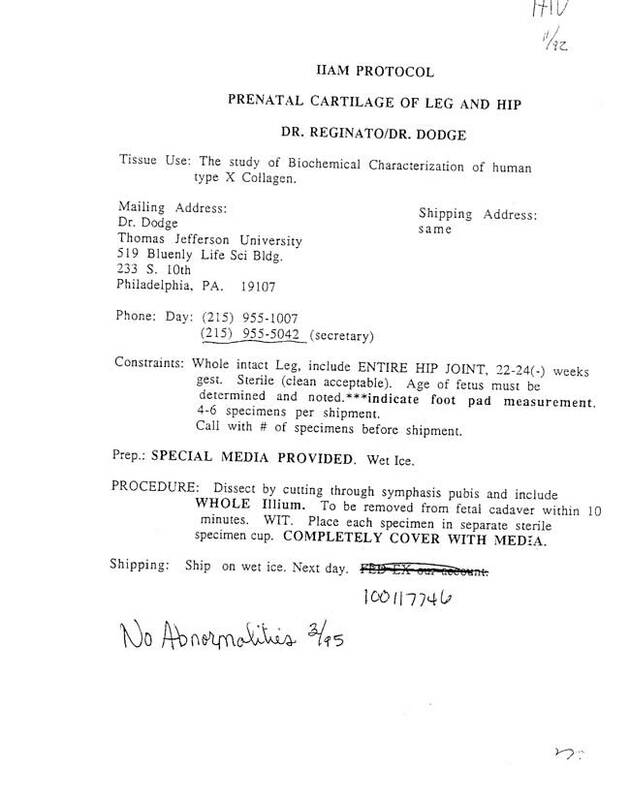 The wholesalers for these baby parts were AGF and the International Institute for the Advancement of Medicine (IIAM). 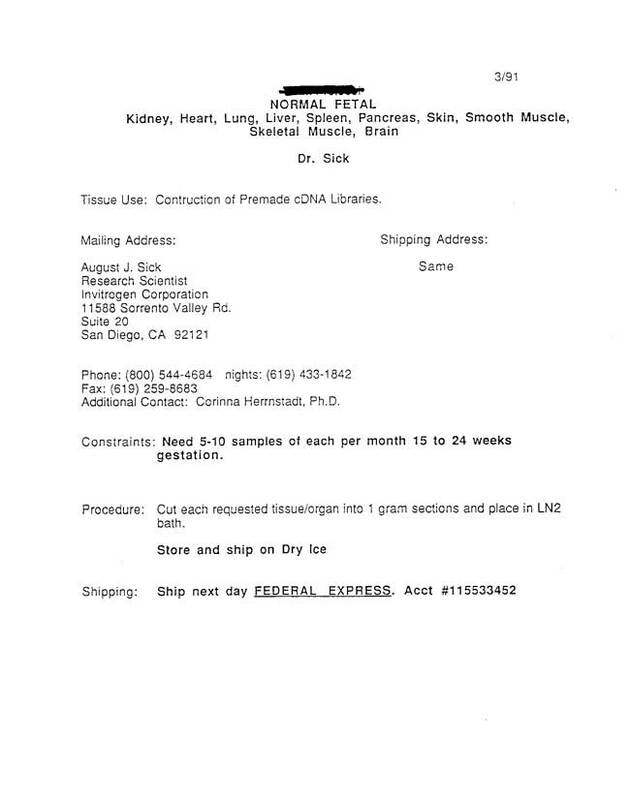 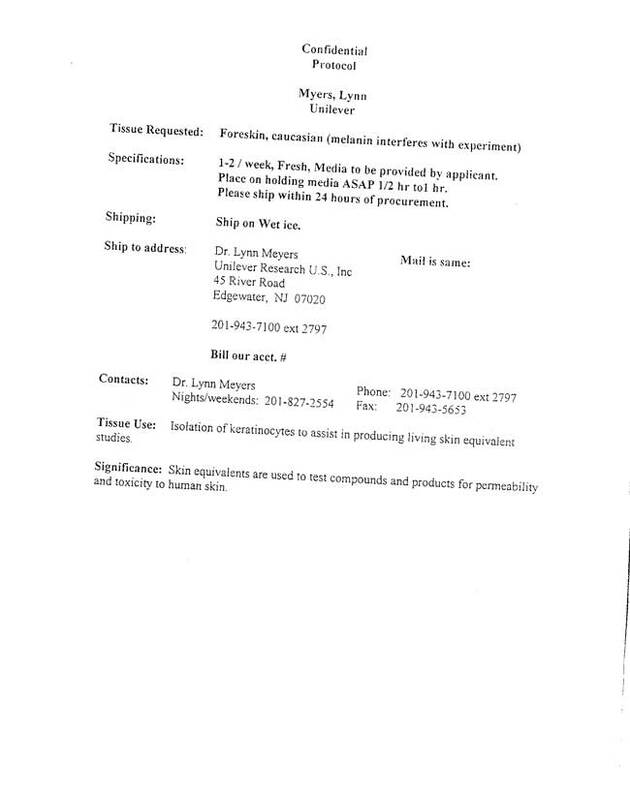 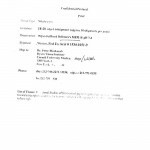 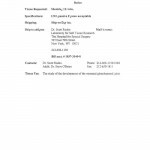 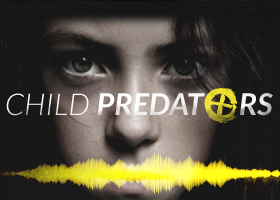 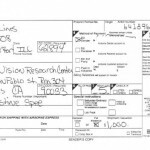 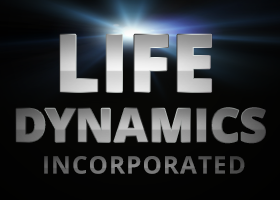 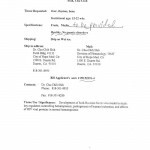 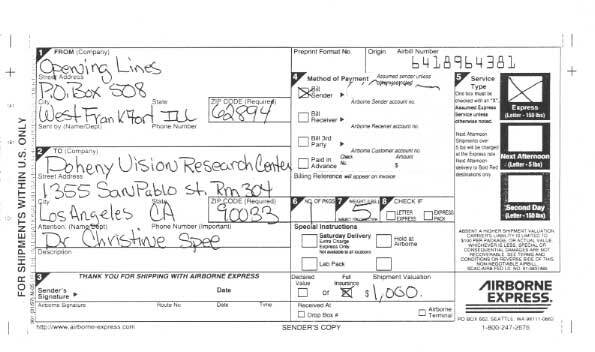 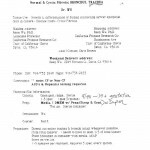 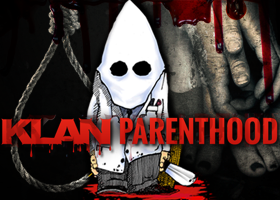 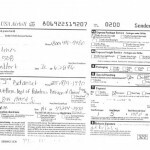 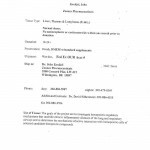 IIAM was at one time heavily involved in the baby parts business but has since withdrawn. 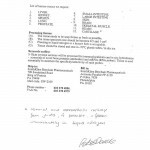 It was founded by Jim Bardsley who eventually left to start AGF. 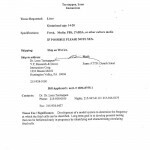 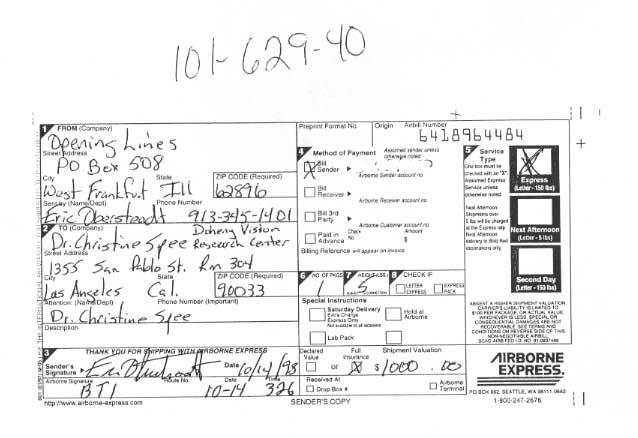 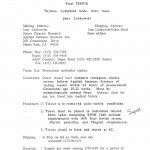 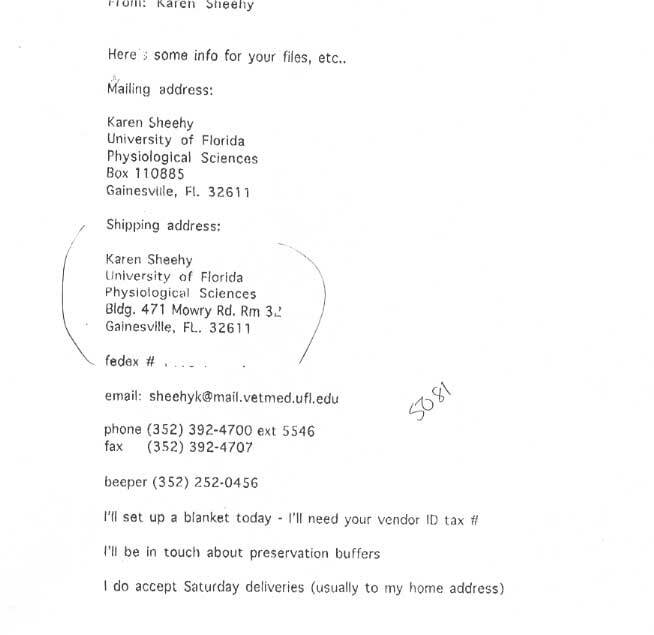 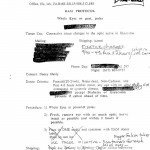 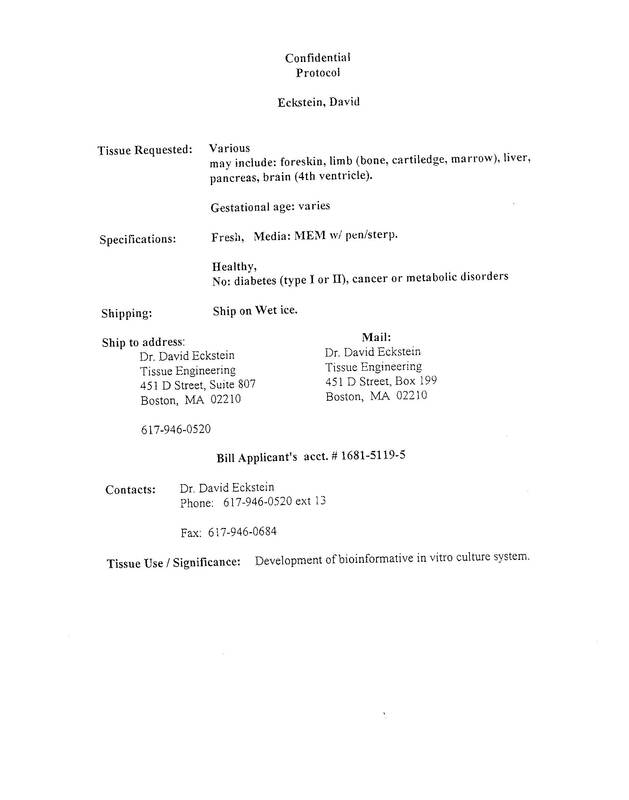 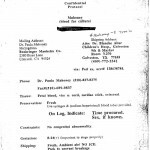 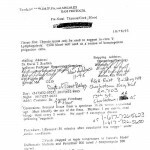 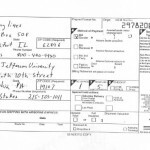 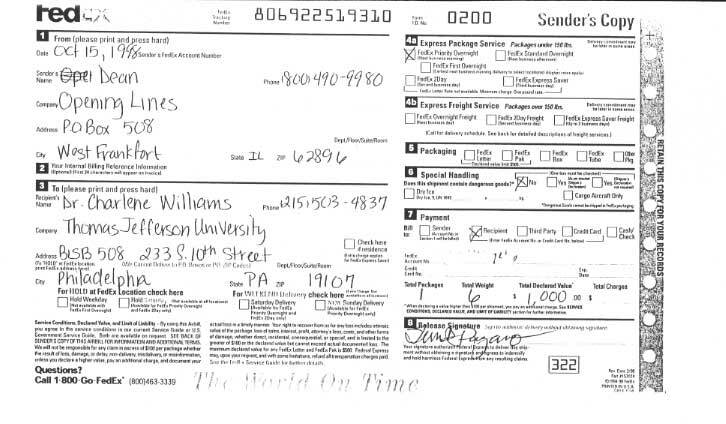 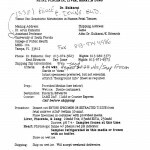 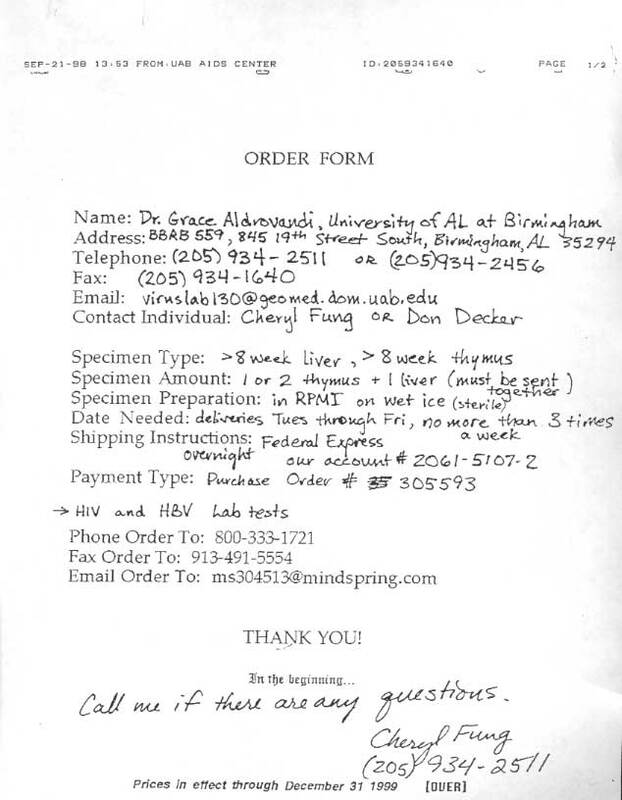 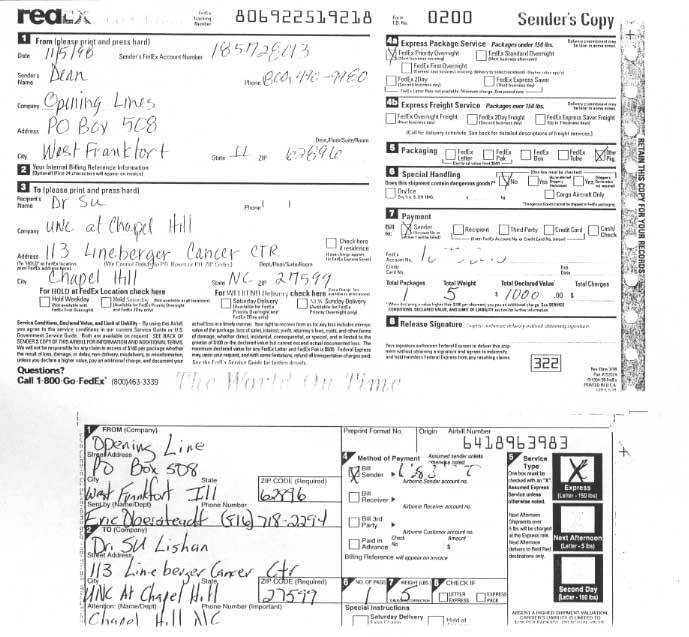 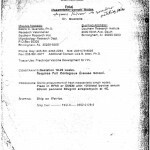 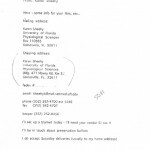 During our investigation, we were only able to acquire one Opening Lines parts order plus a copy of information furnished to Opening Lines from a University of Florida researcher regarding parts she wanted to acquire. 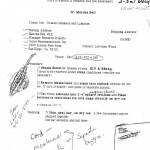 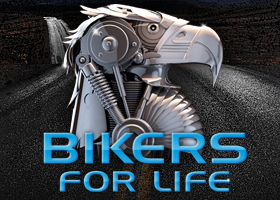 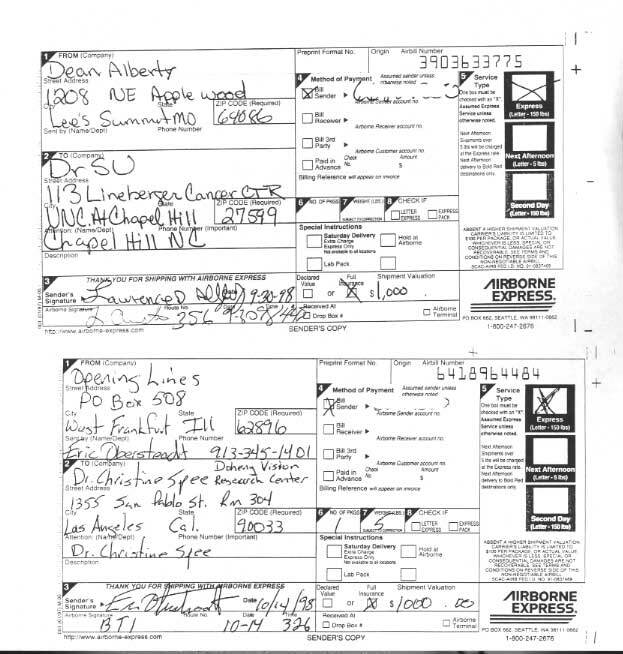 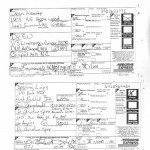 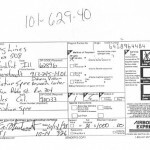 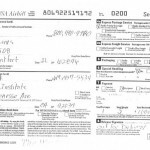 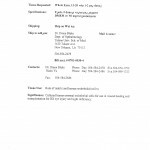 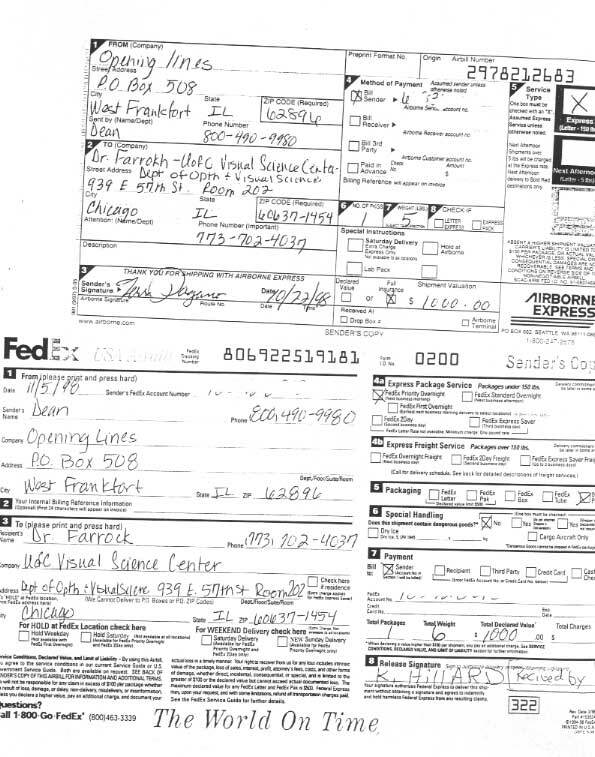 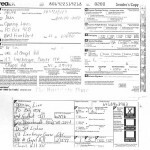 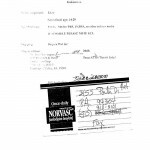 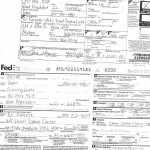 In addition, we were able to obtain several airbills from both FedEx and Airborne for Opening Lines parts shipments. 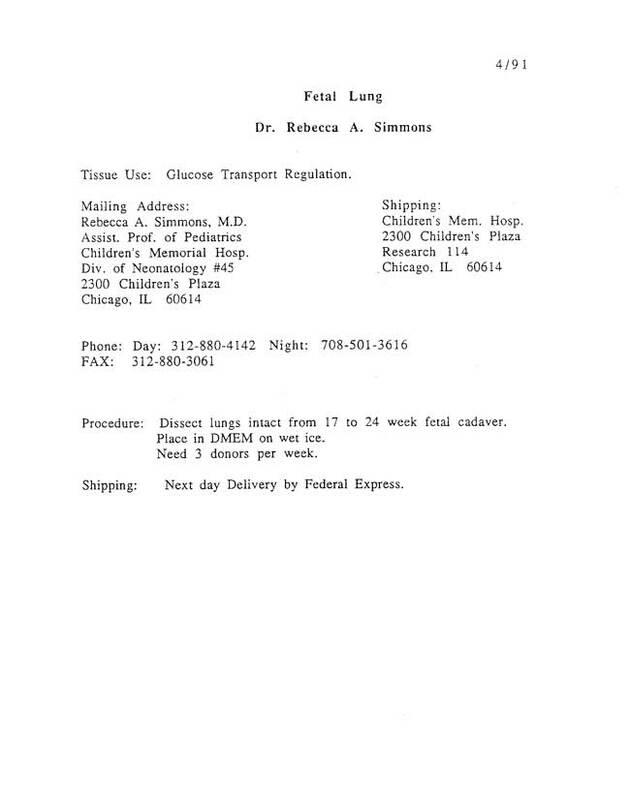 1) A requirement that parts be retrieved within a few minutes of fetal death dramatically increases the likelihood of a live birth. 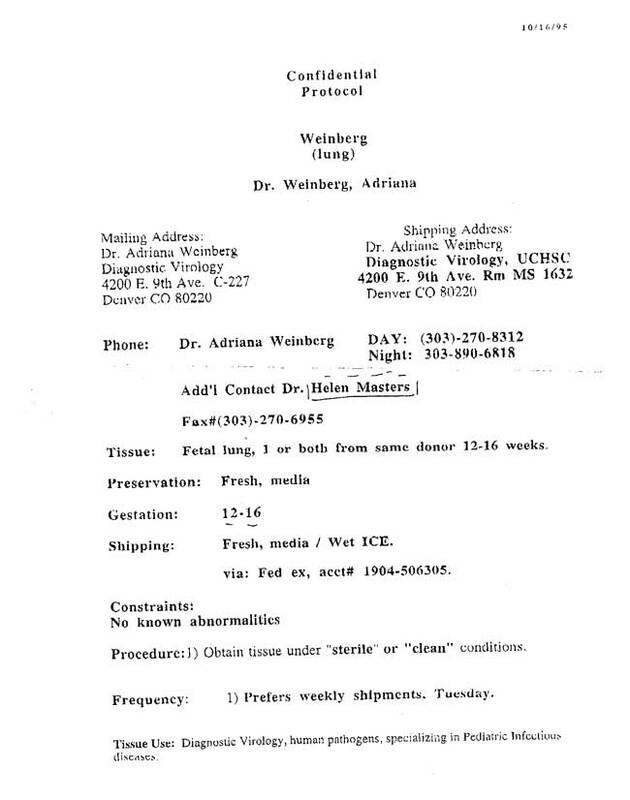 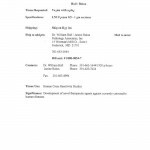 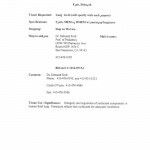 This is also an indicator that the purchaser is suggesting that the abortionist alter his procedure in order to meet certain specifications. 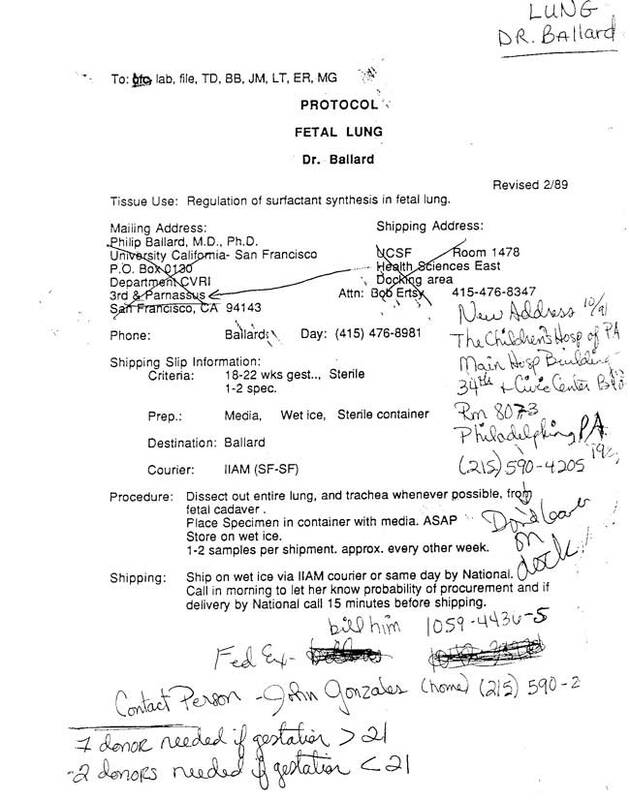 2) When “no dig” or “no digoxin” is written on the order, the purchaser is telling the abortionist that the baby can’t be killed by injecting digoxin into its heart. 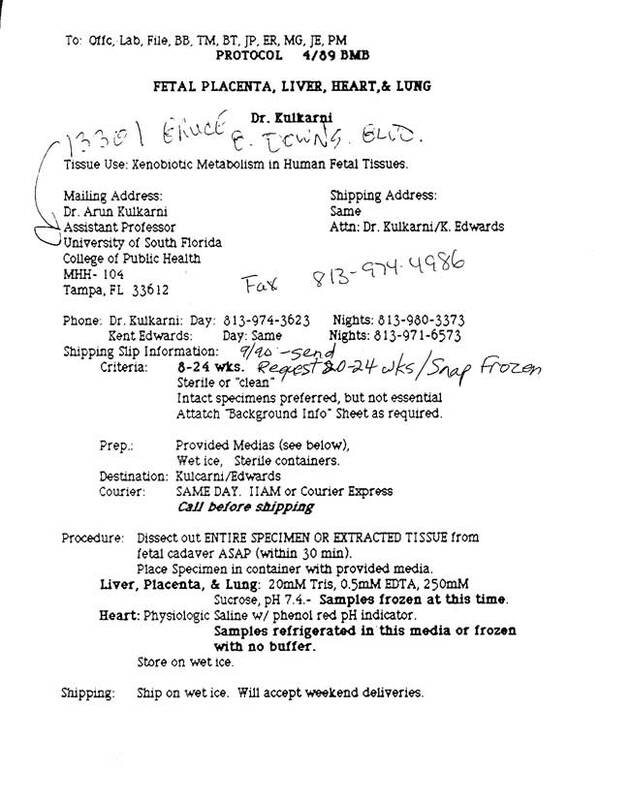 Again, this increases the chances of a live birth and is another indicator that the purchaser is trying to control what procedure the abortionist will use. 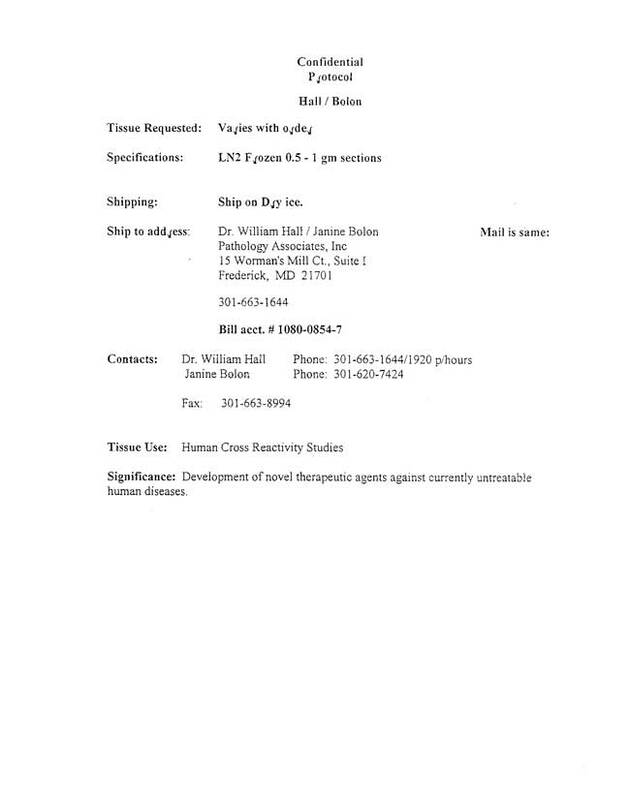 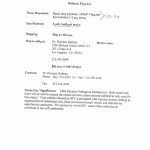 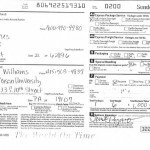 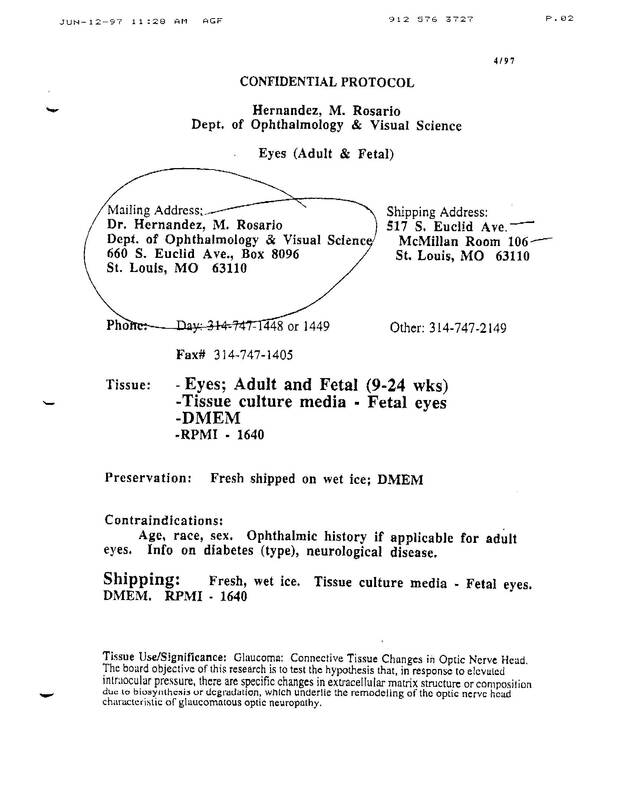 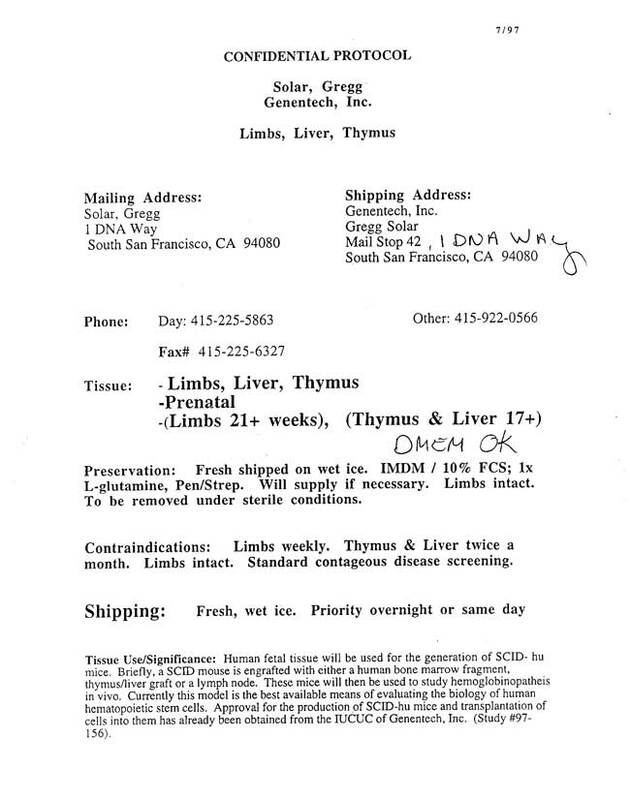 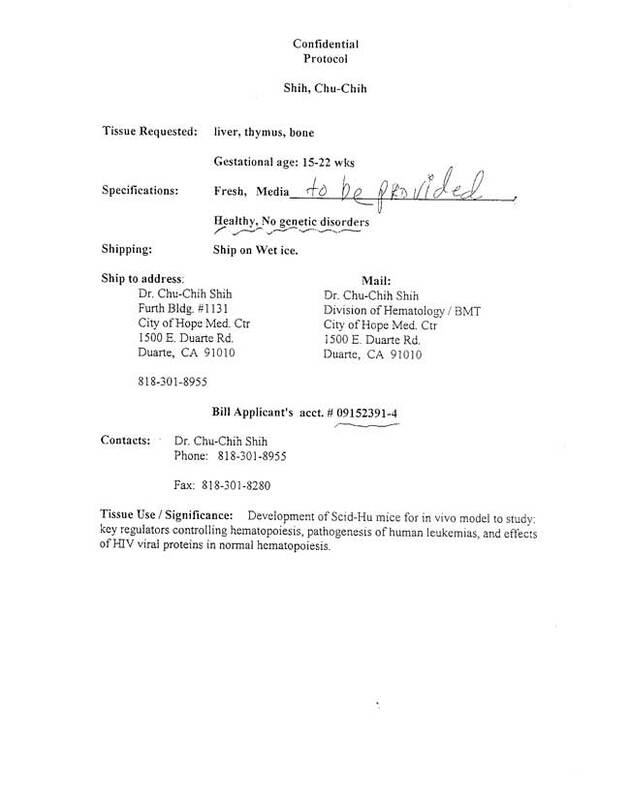 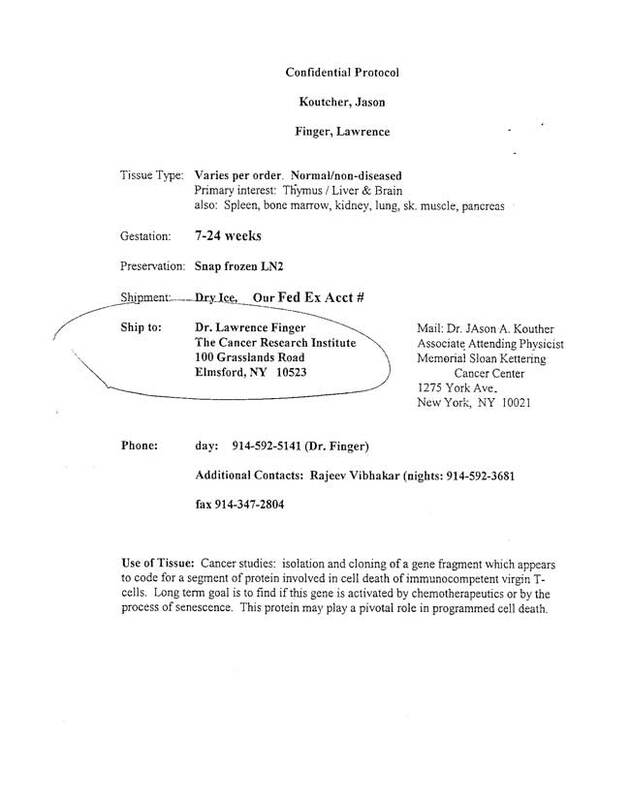 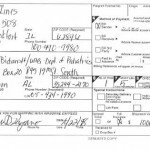 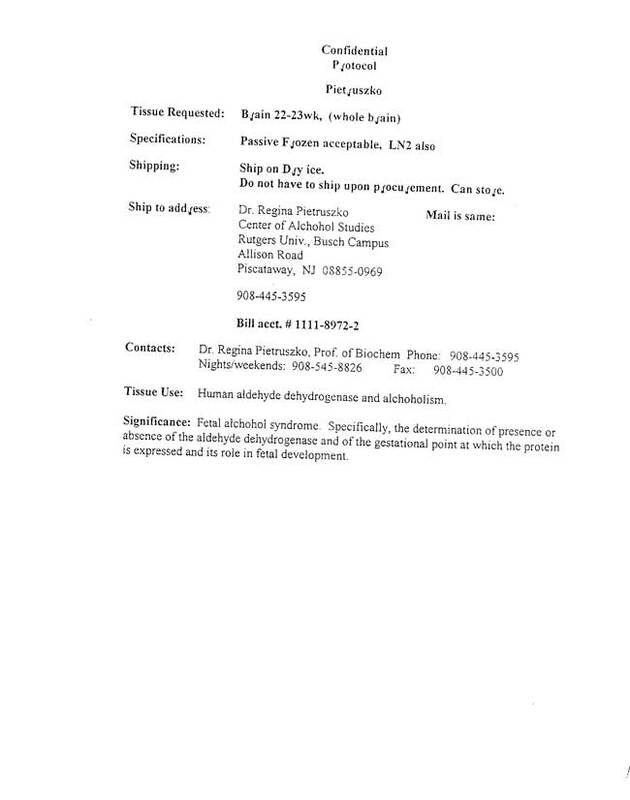 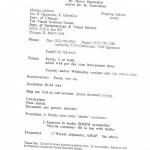 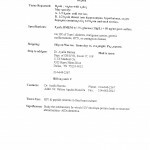 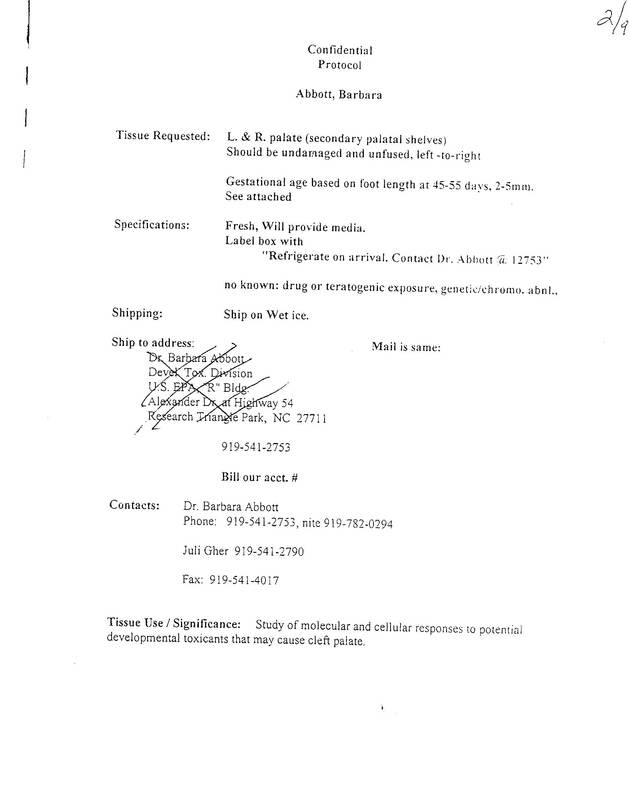 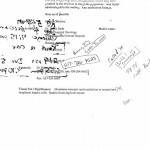 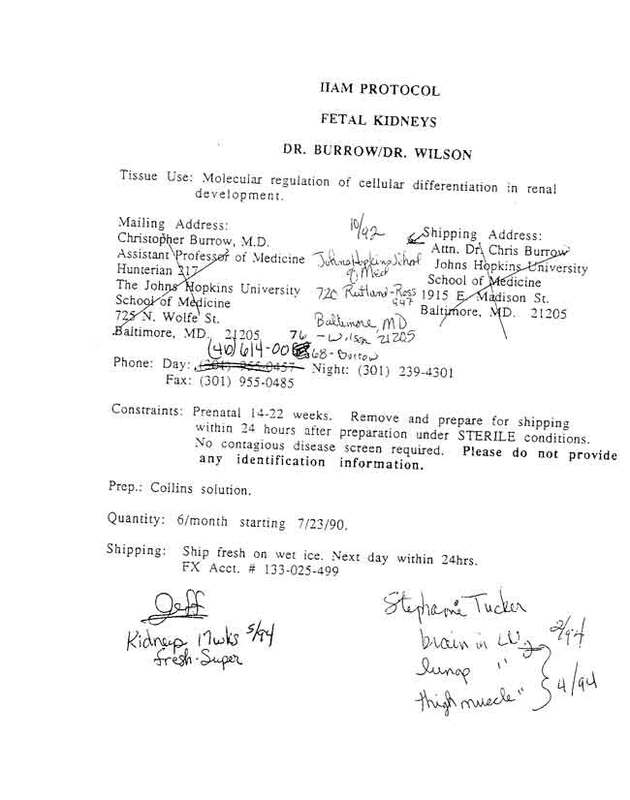 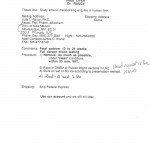 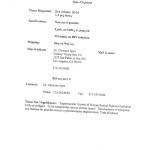 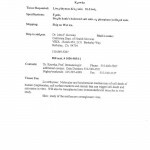 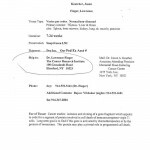 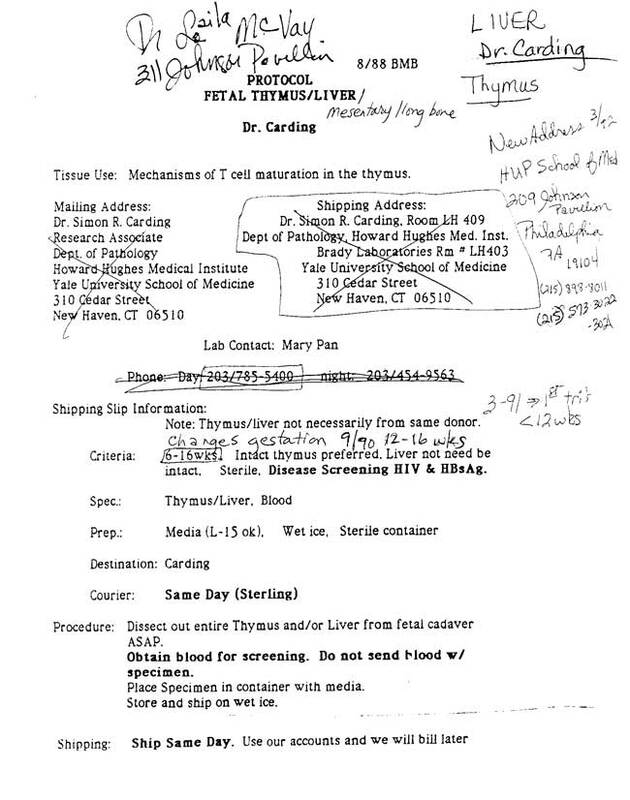 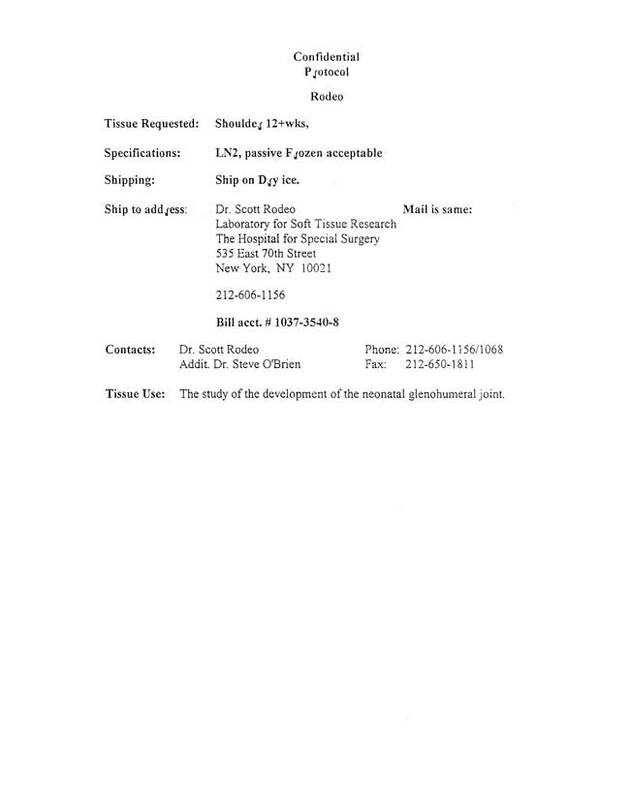 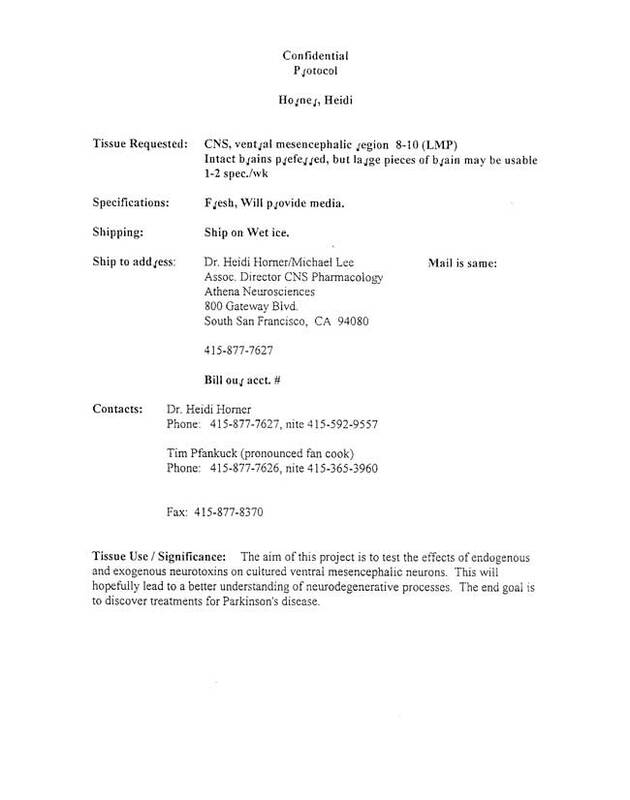 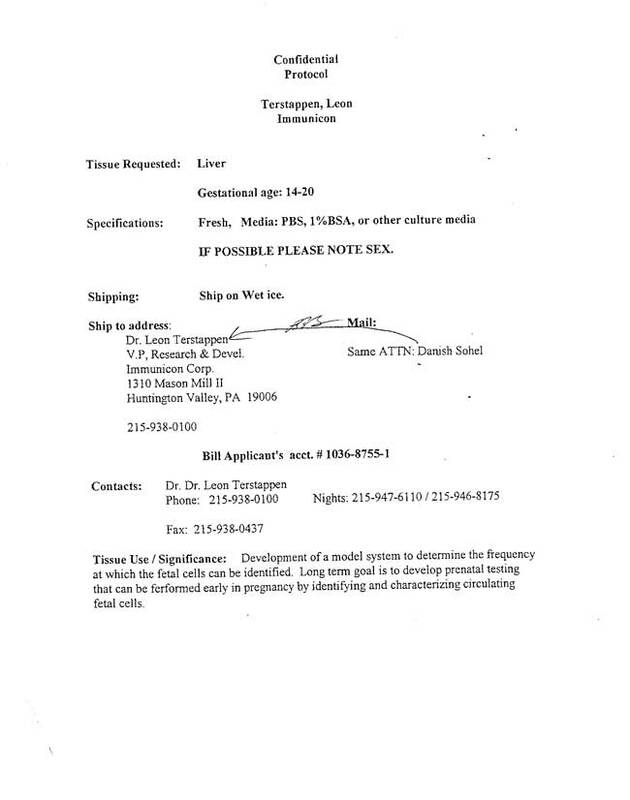 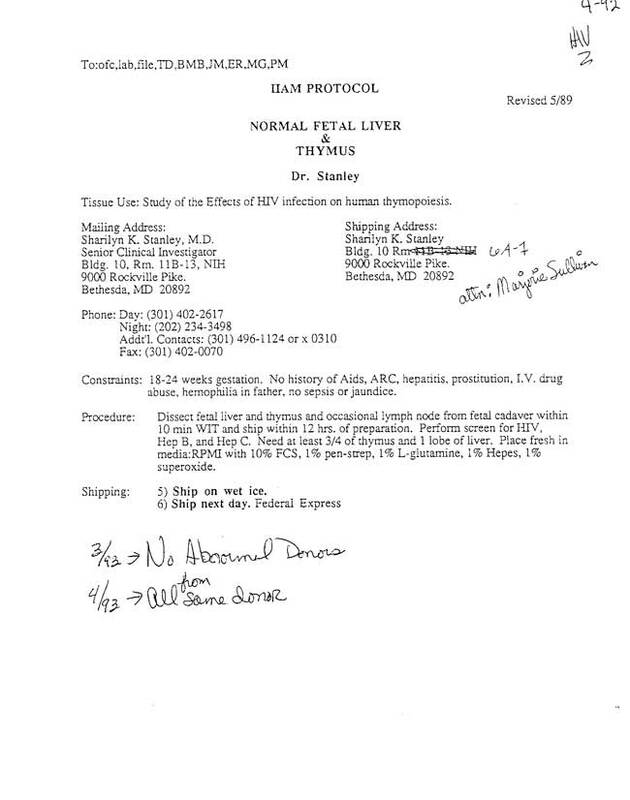 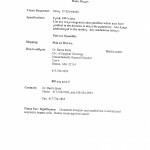 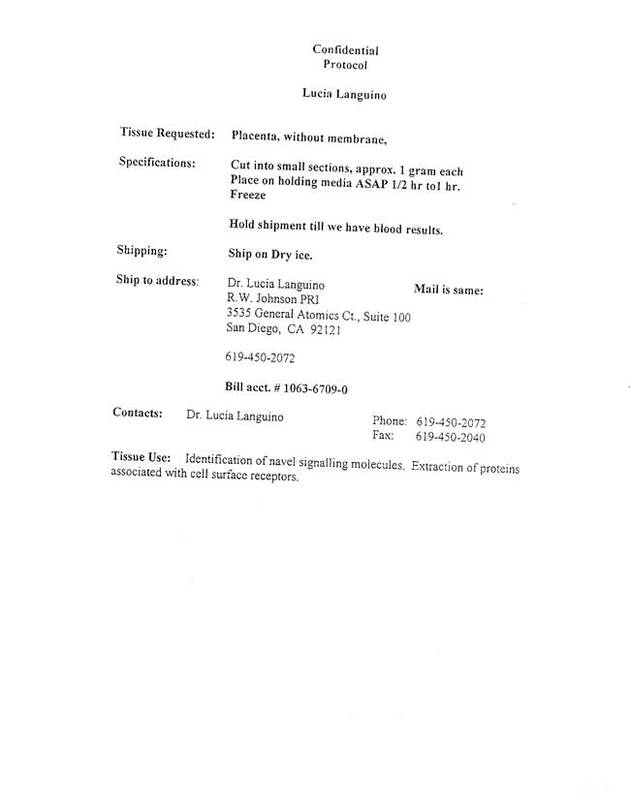 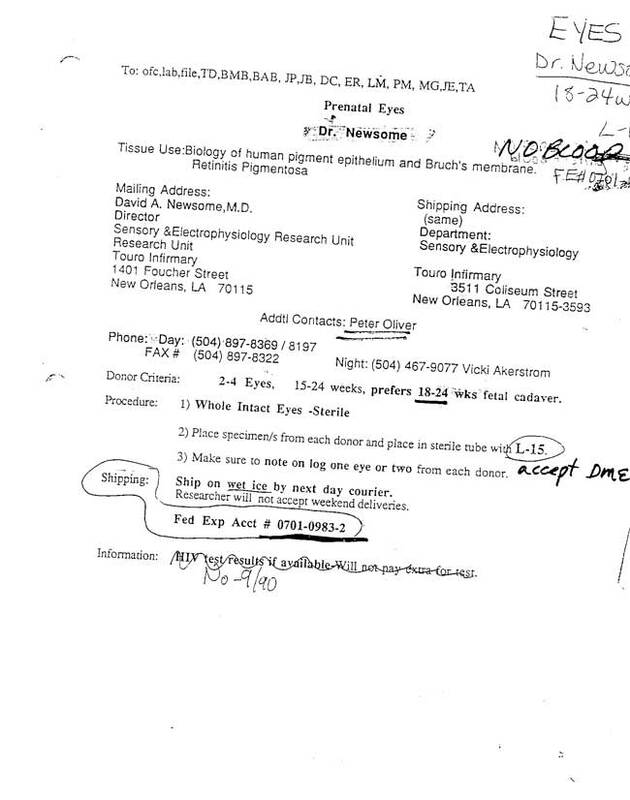 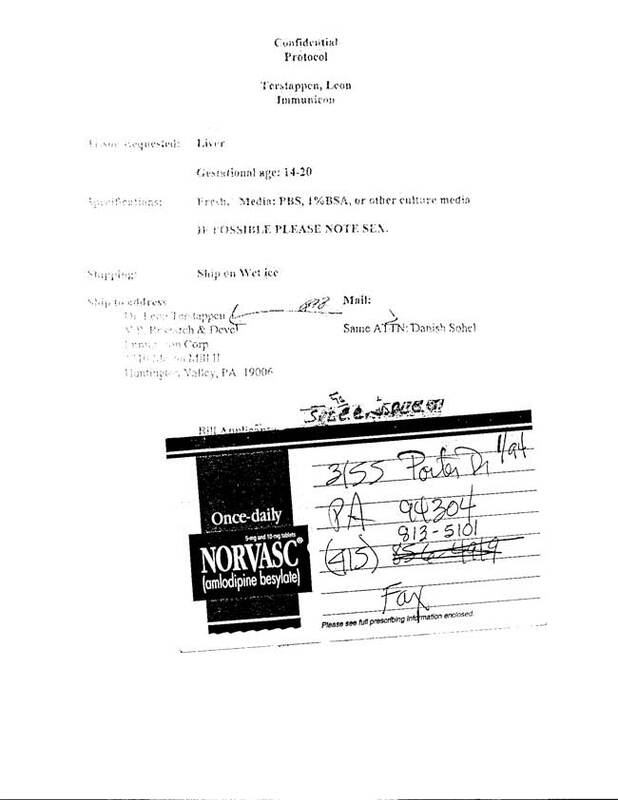 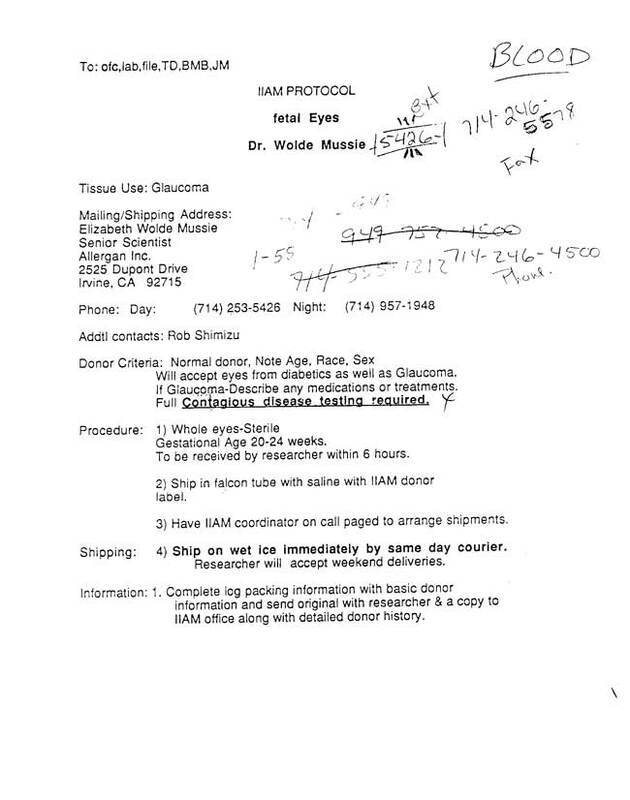 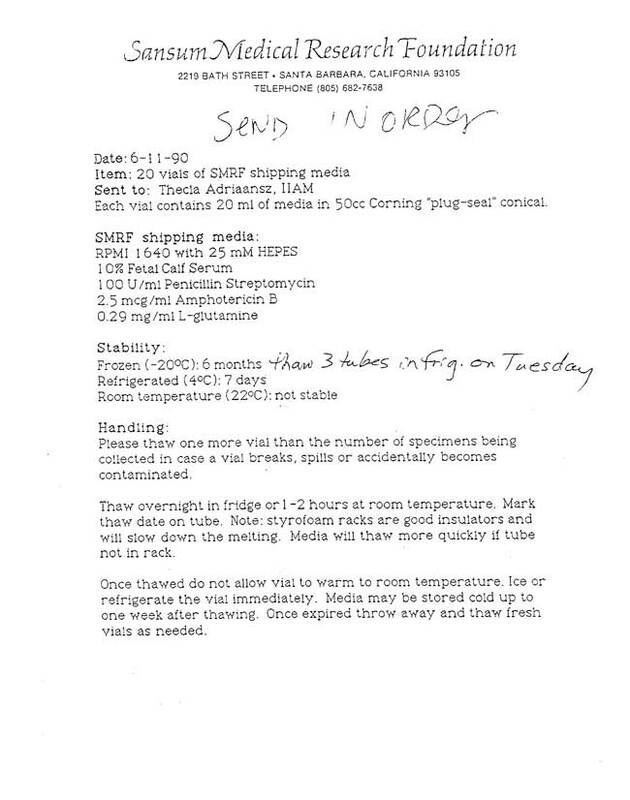 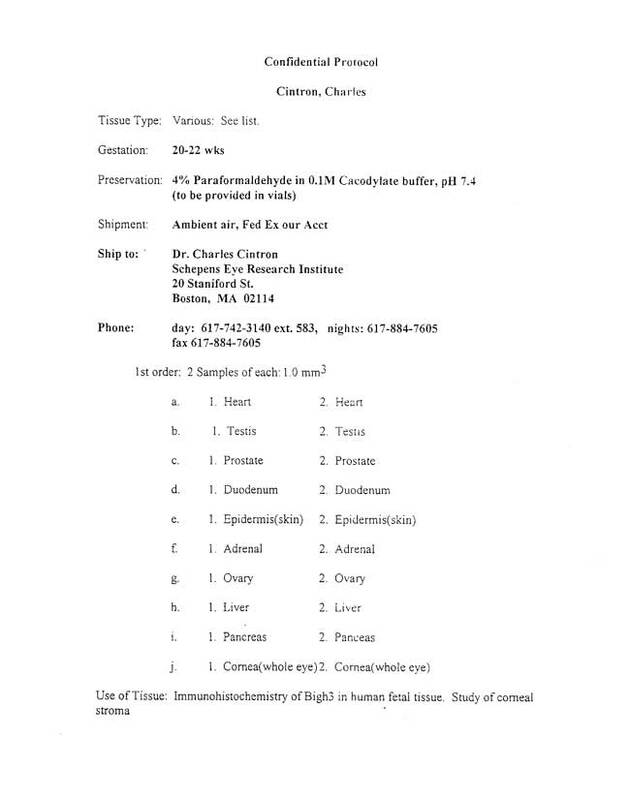 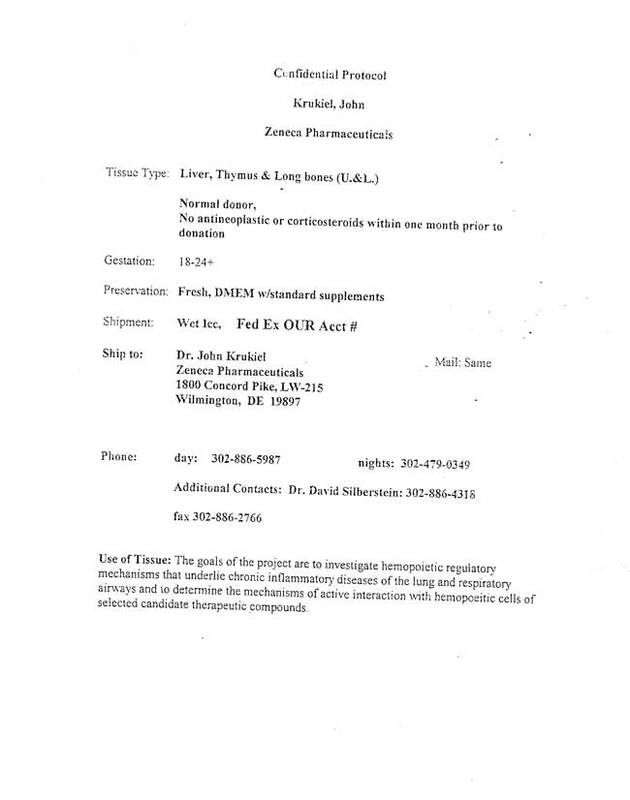 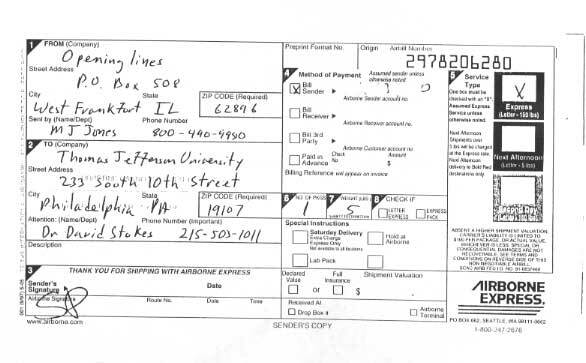 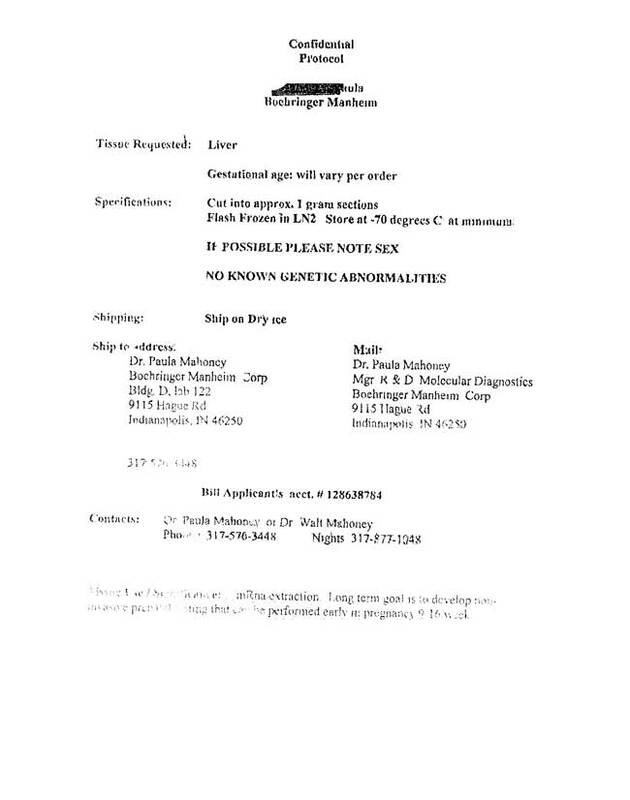 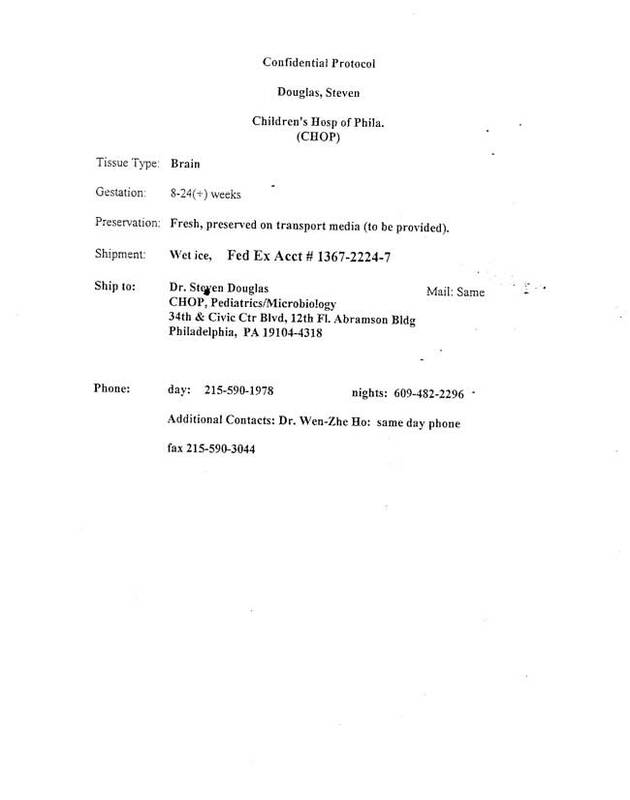 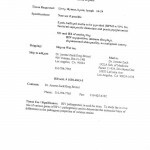 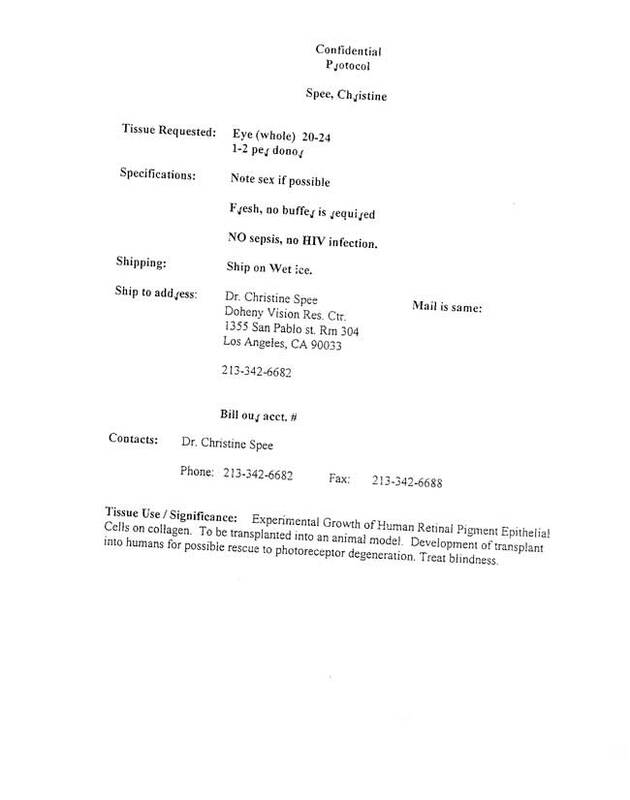 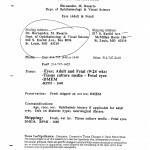 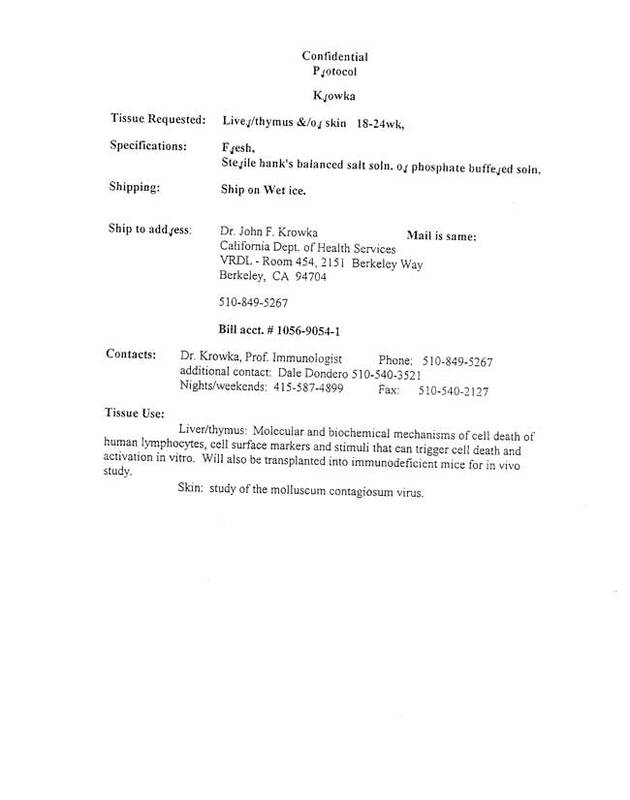 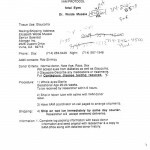 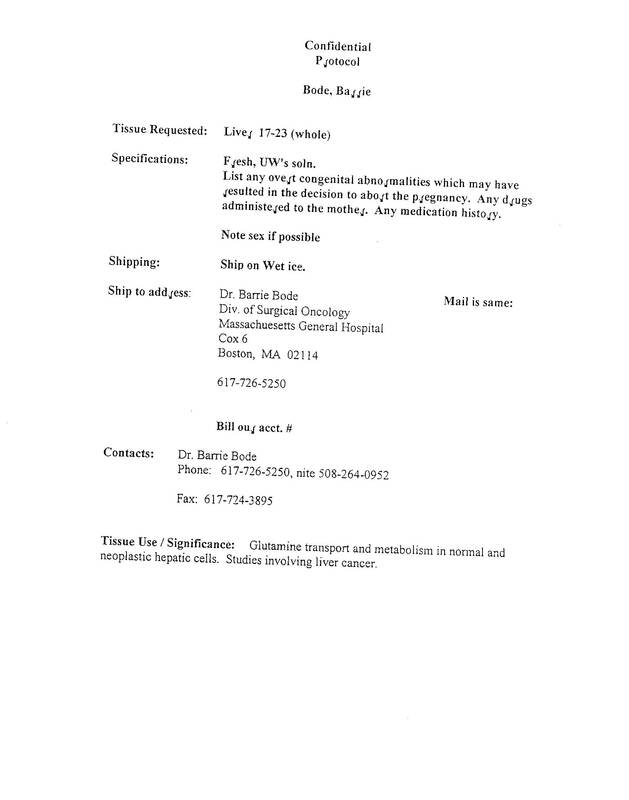 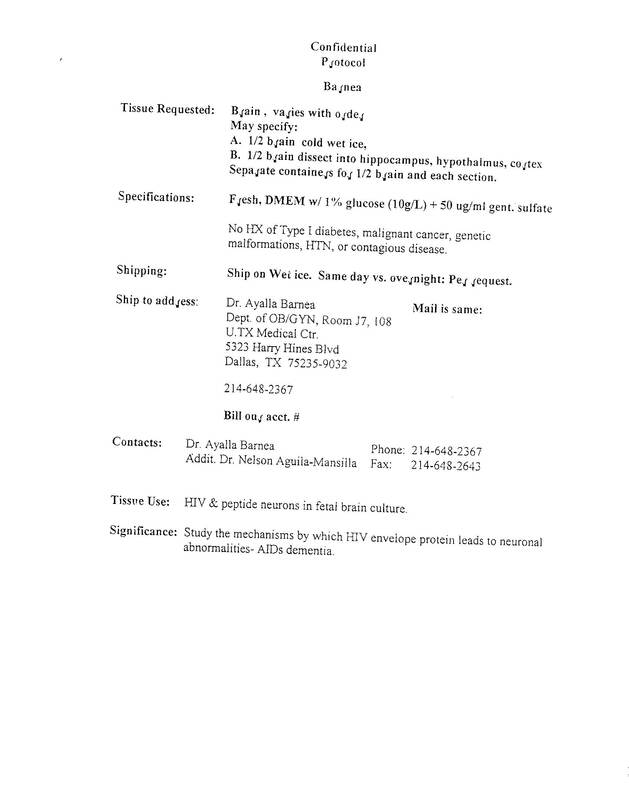 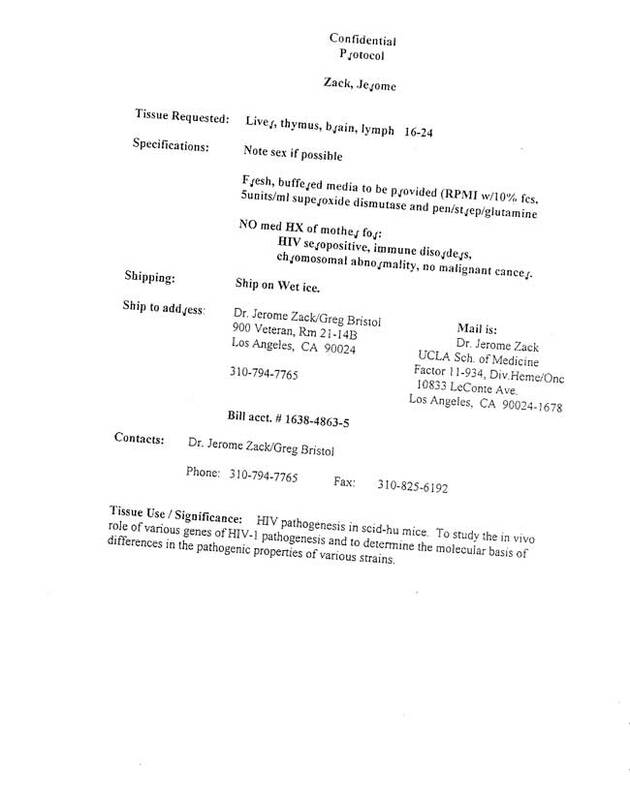 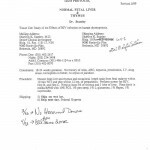 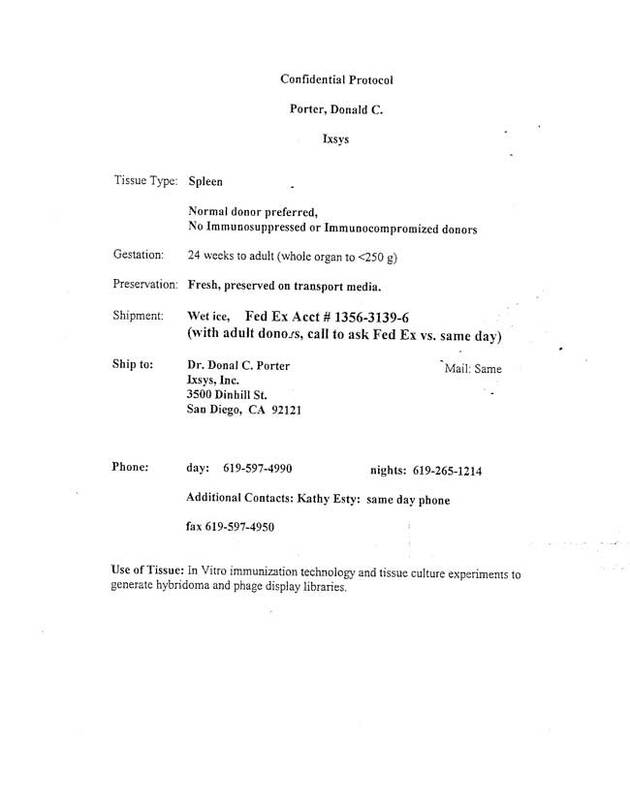 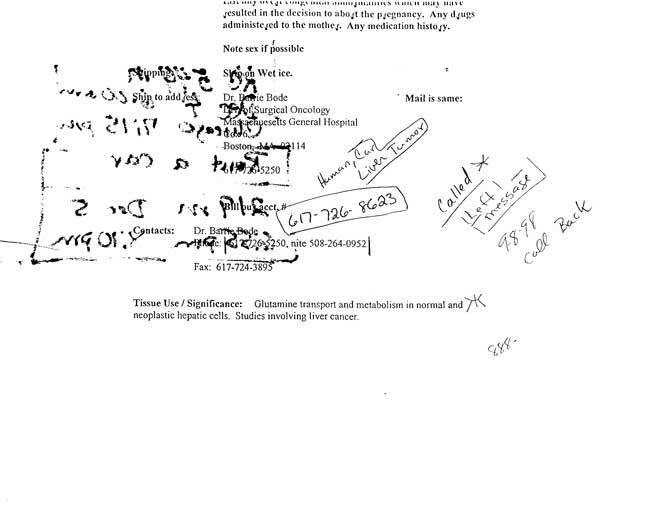 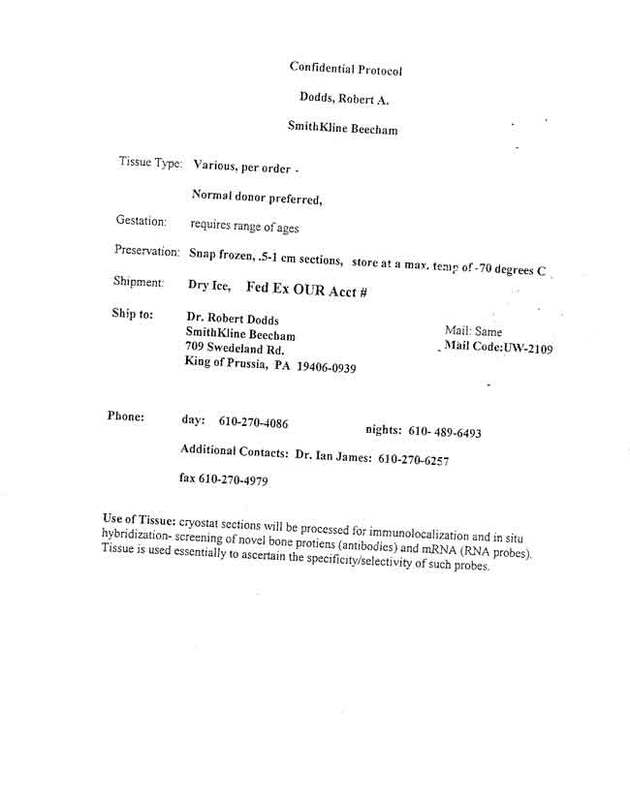 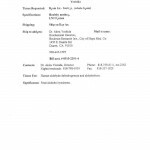 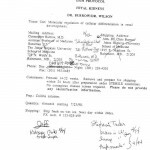 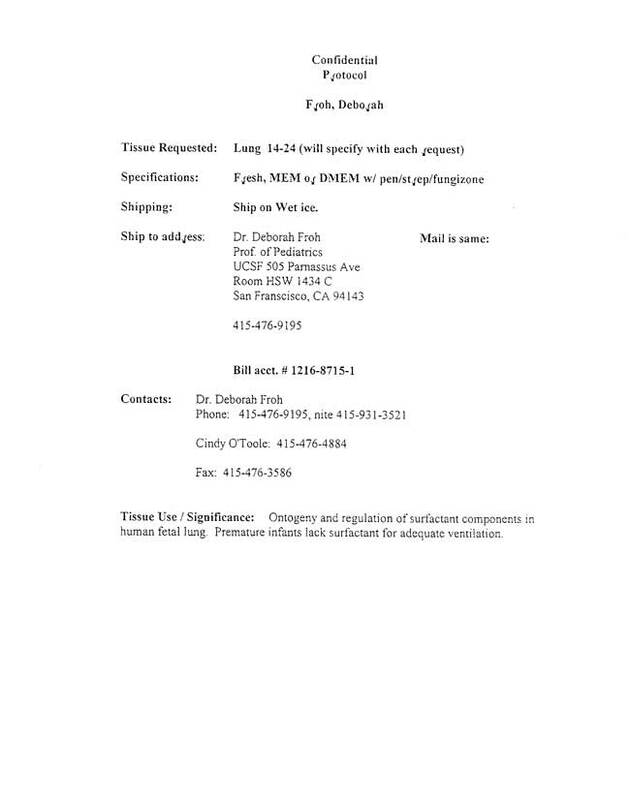 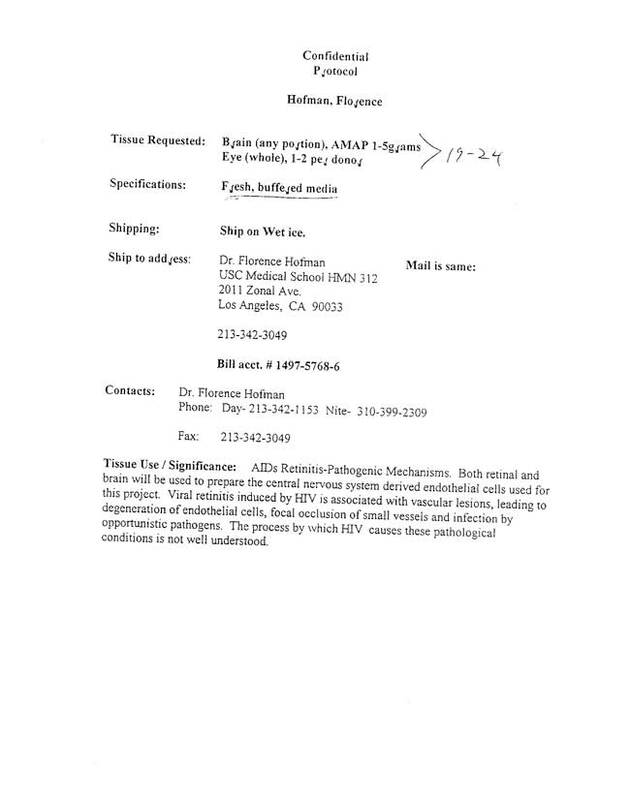 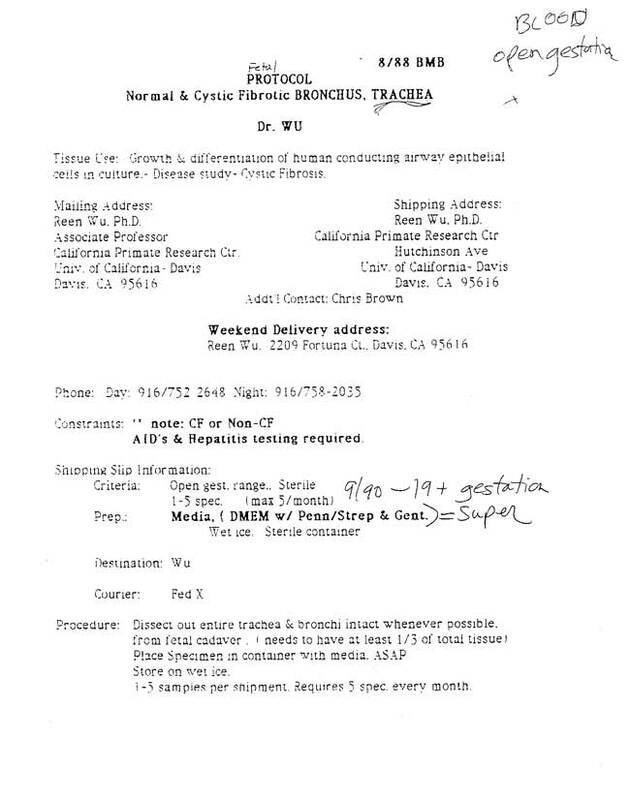 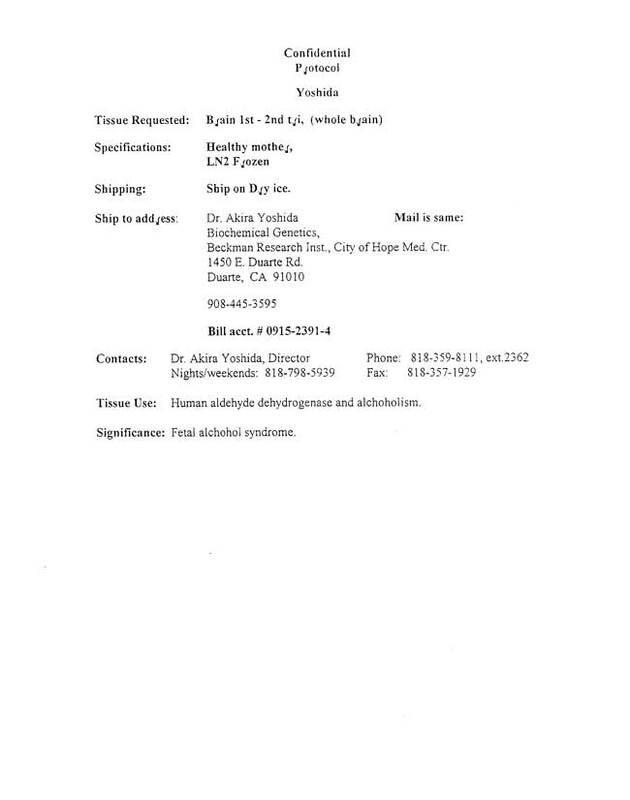 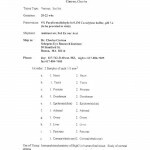 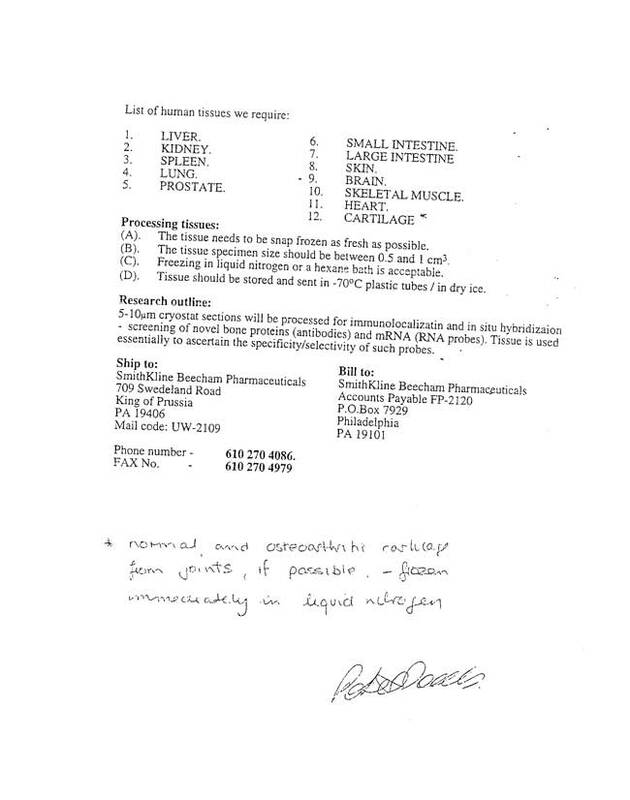 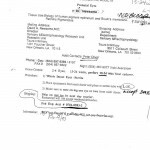 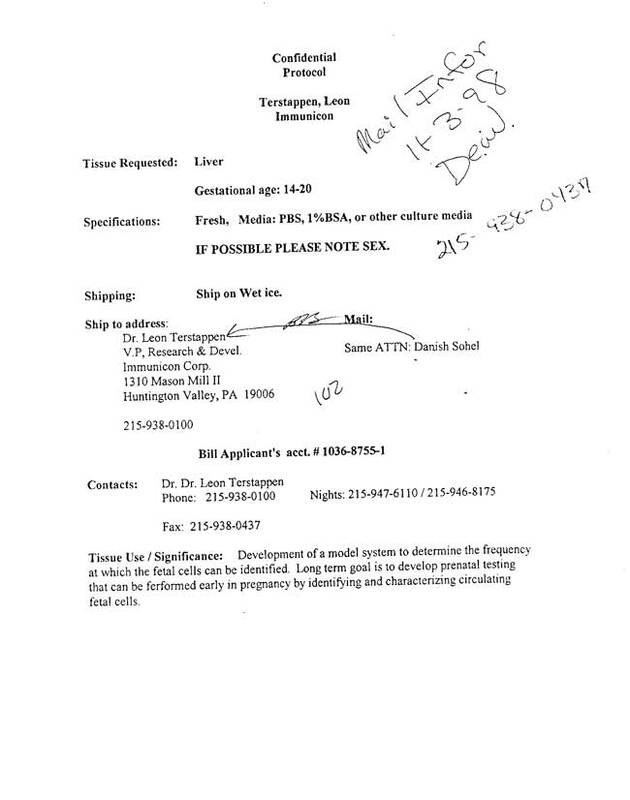 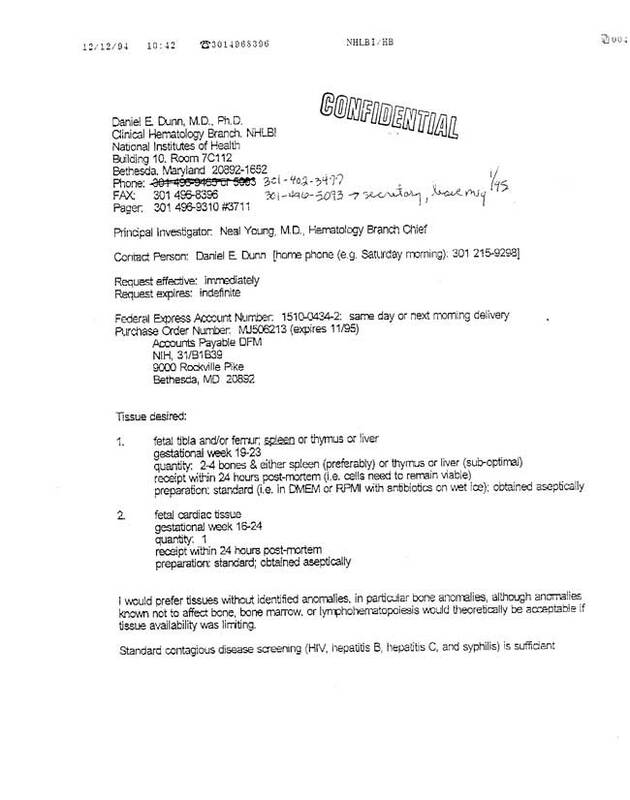 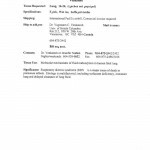 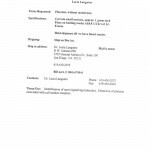 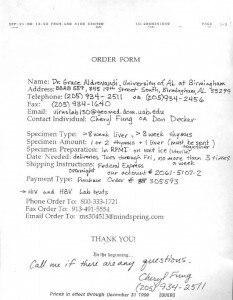 3) Some orders have notations such as “no anomalies” or “no congenital abnormalities.” This confirms that these abortions – including the very late term ones – are being done on healthy babies.